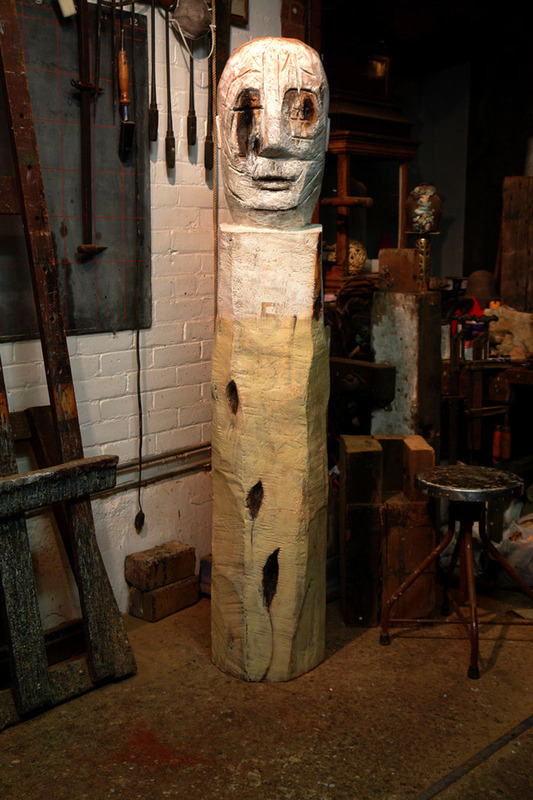 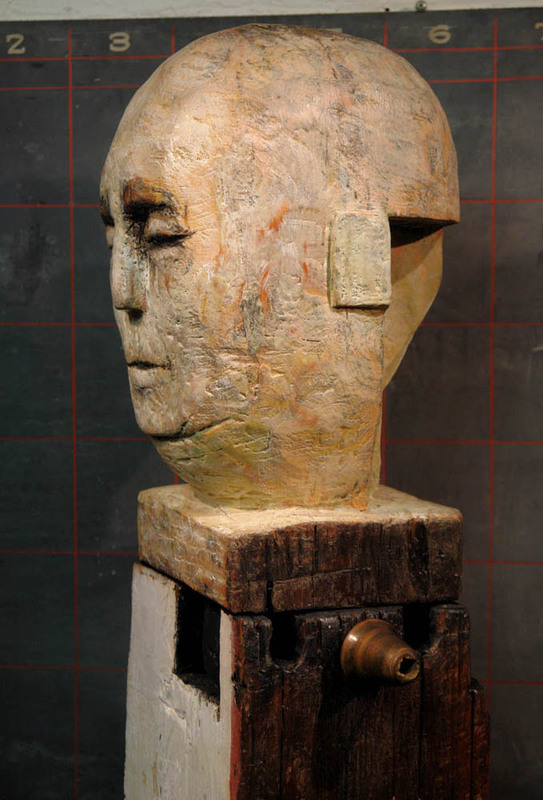 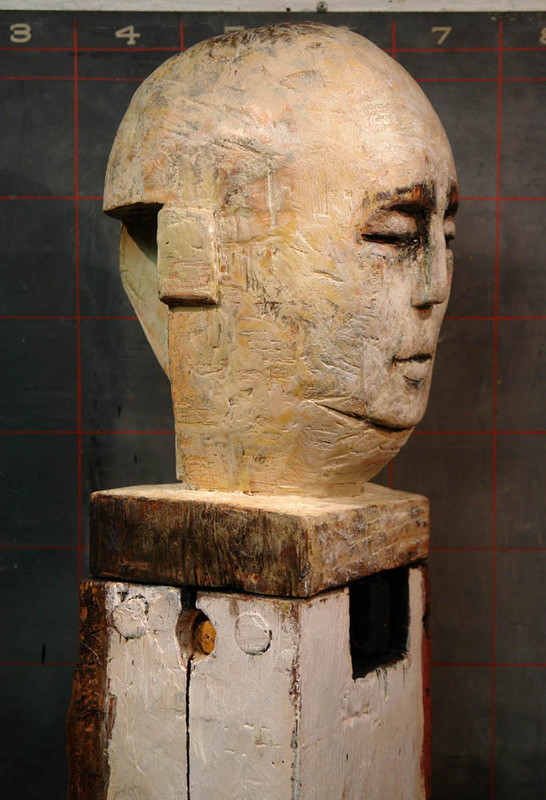 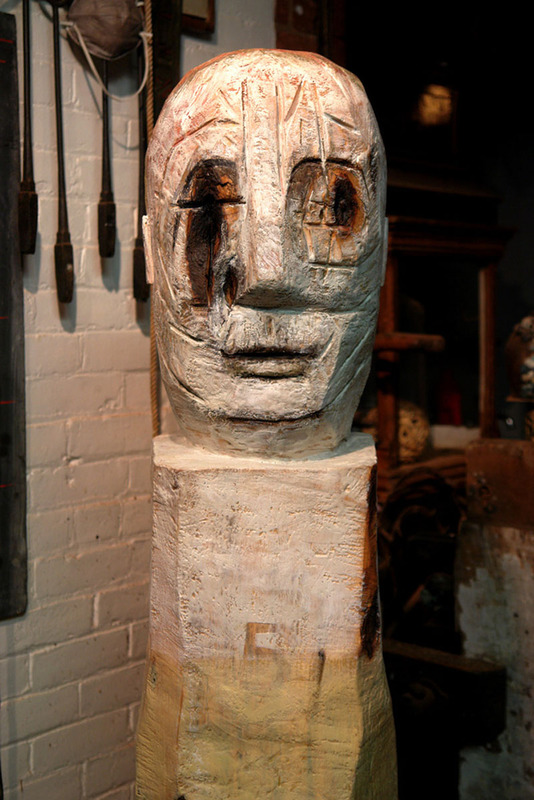 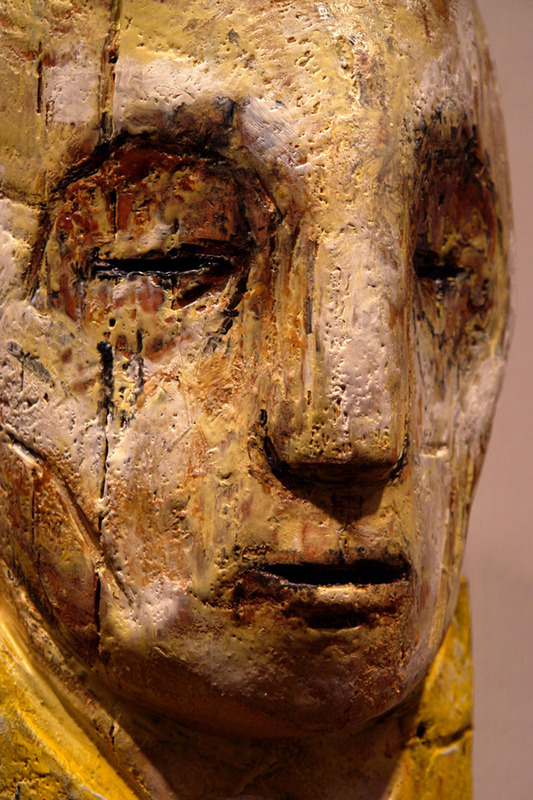 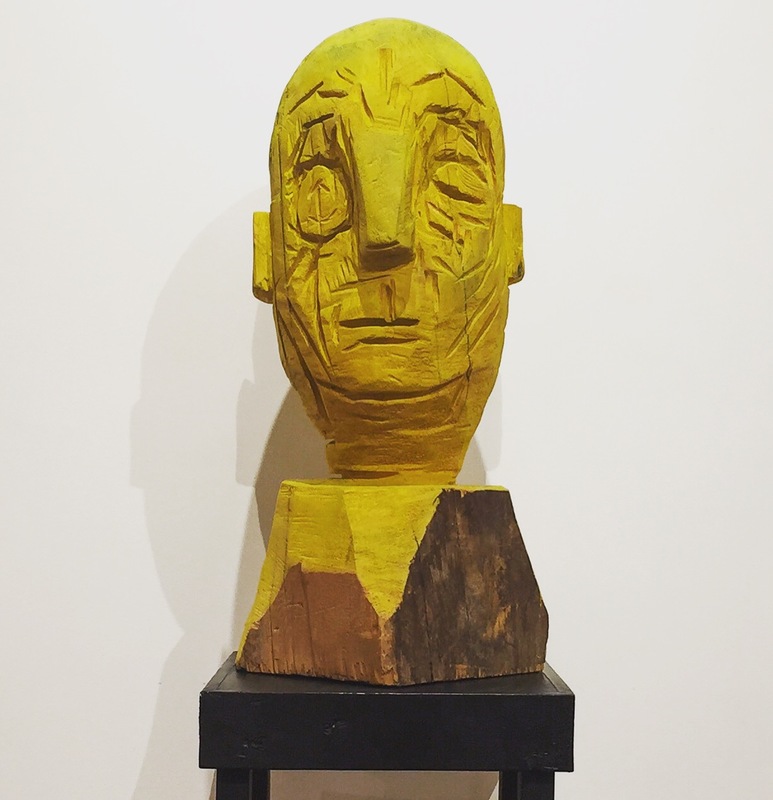 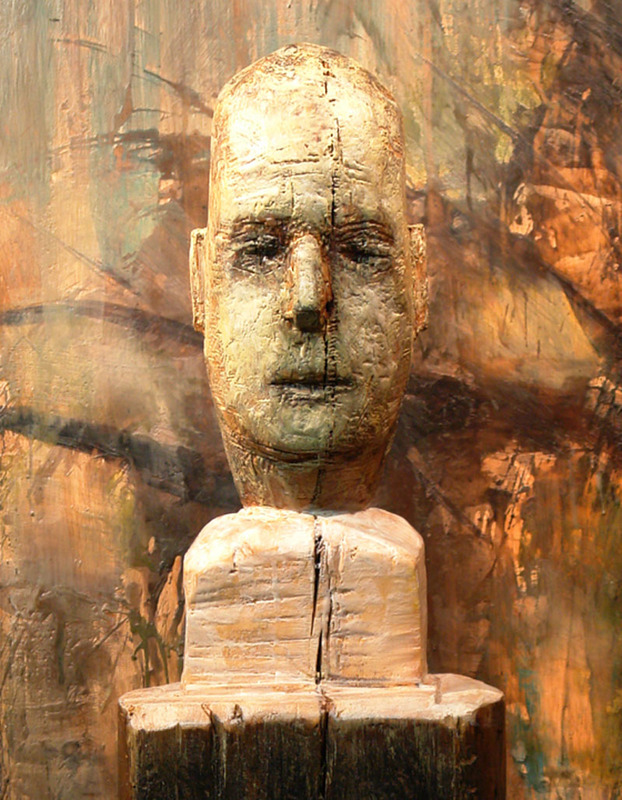 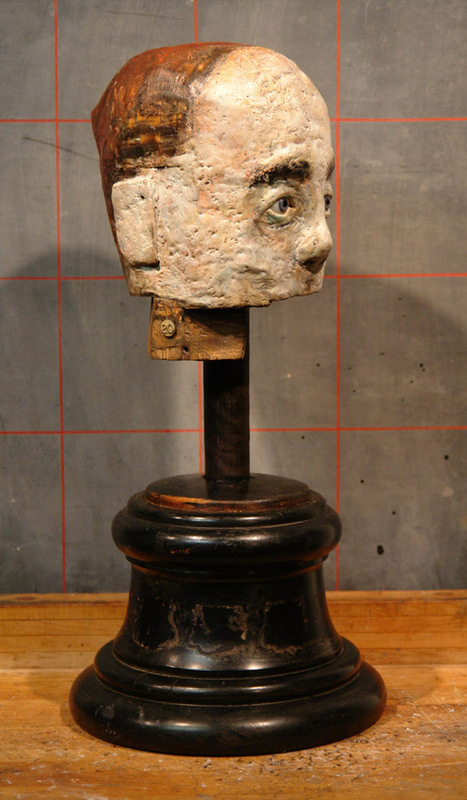 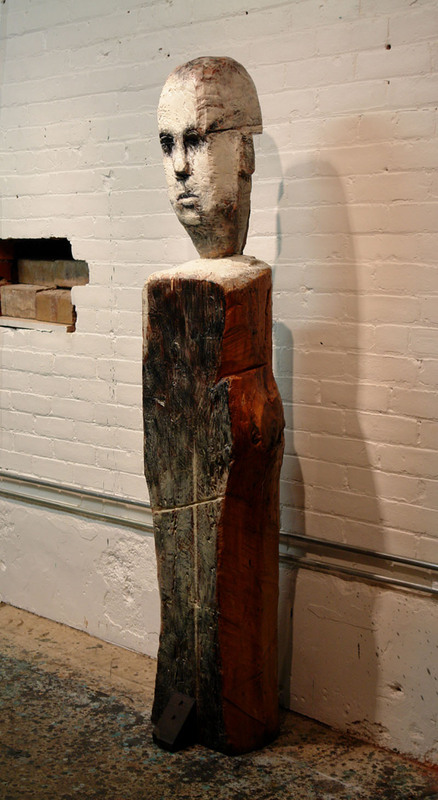 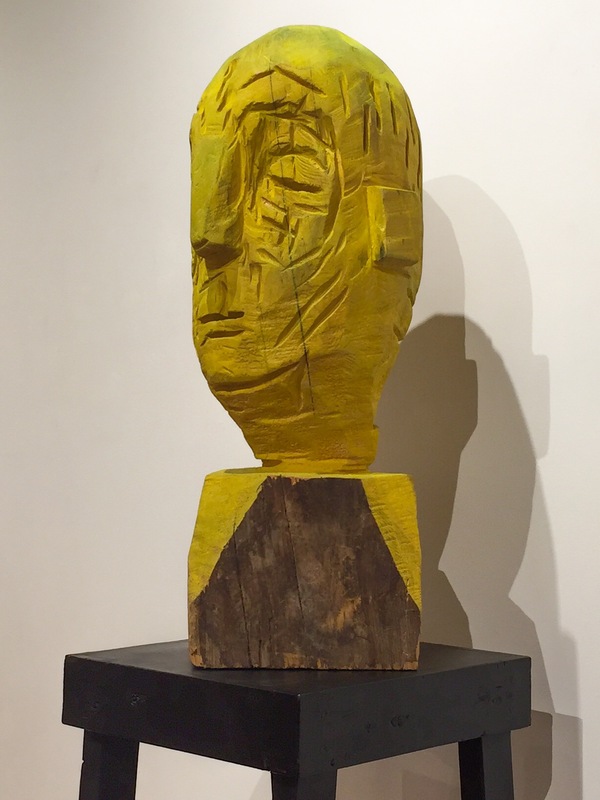 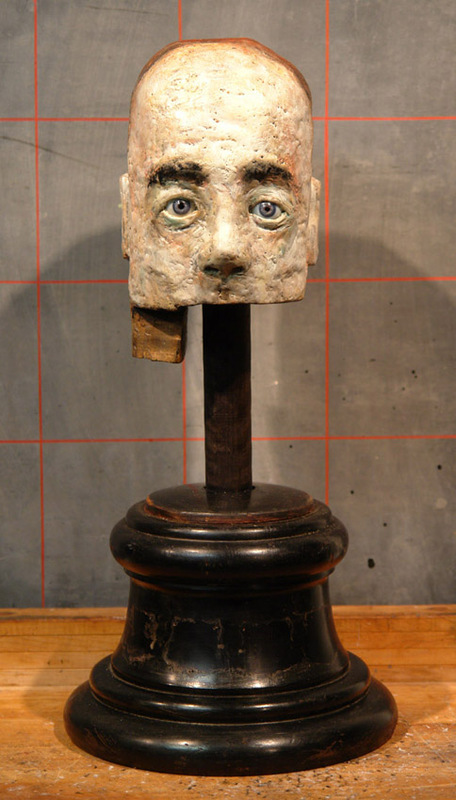 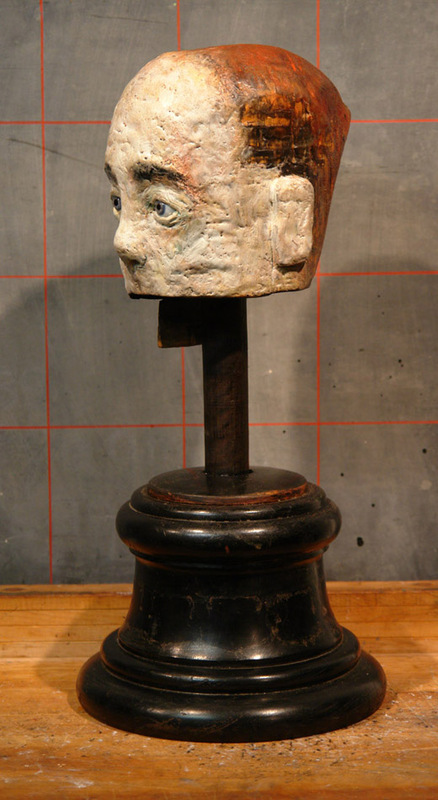 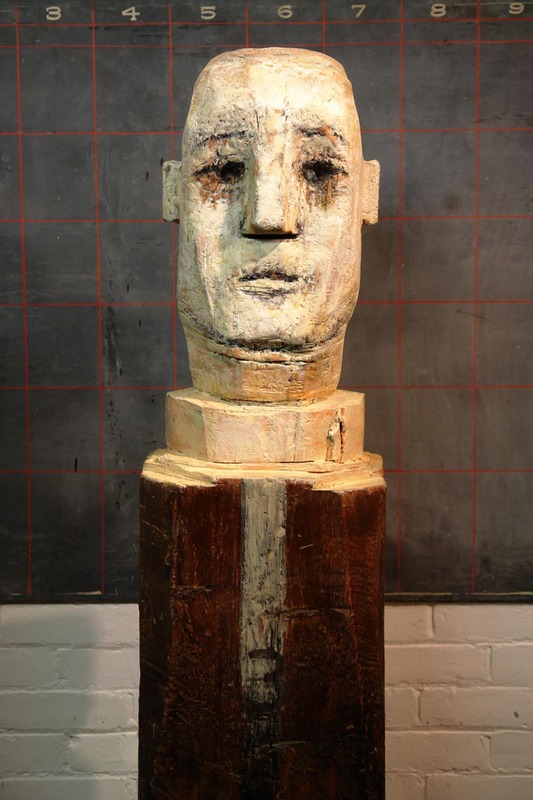 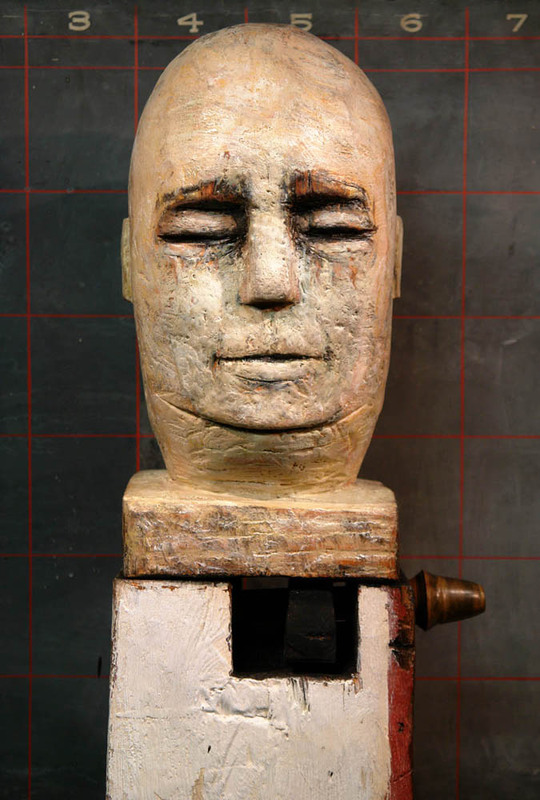 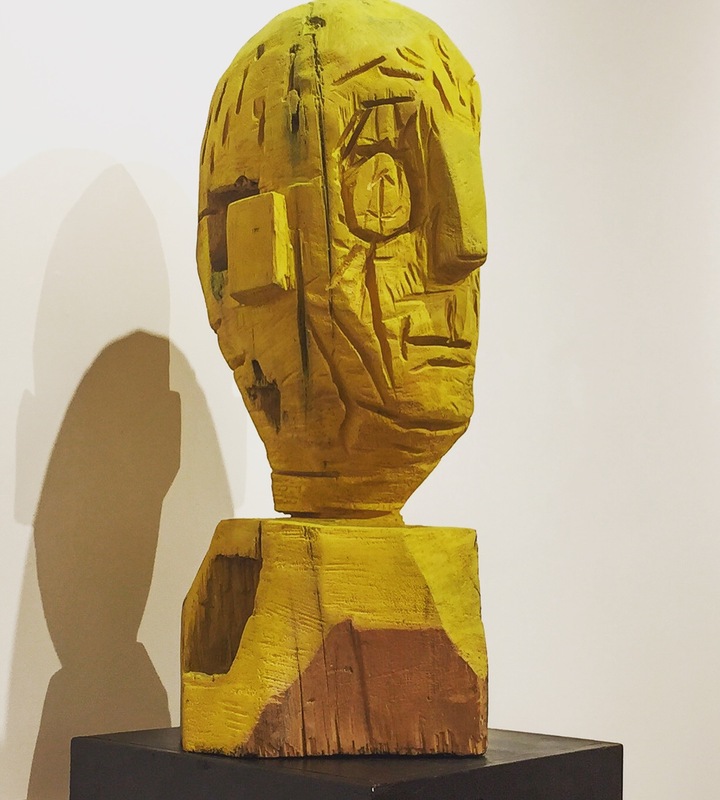 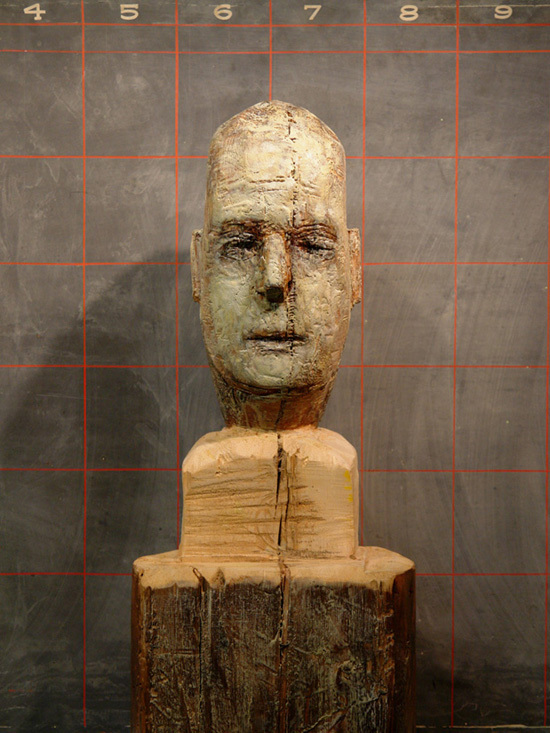 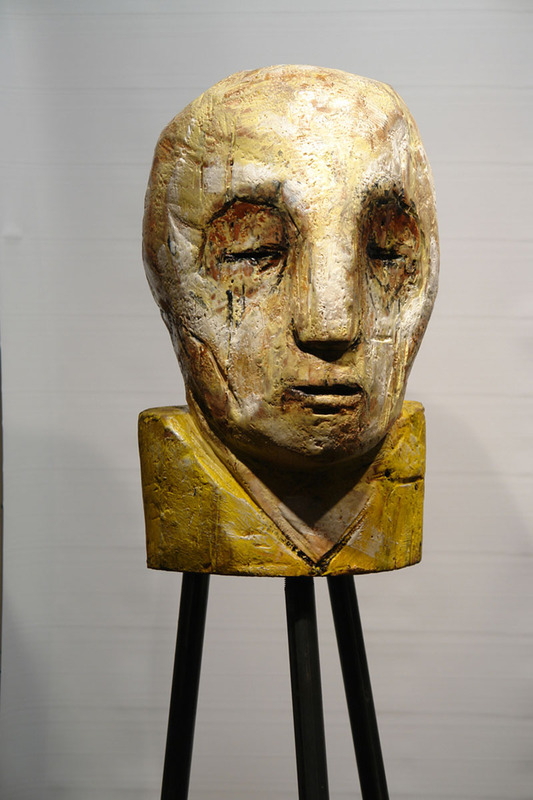 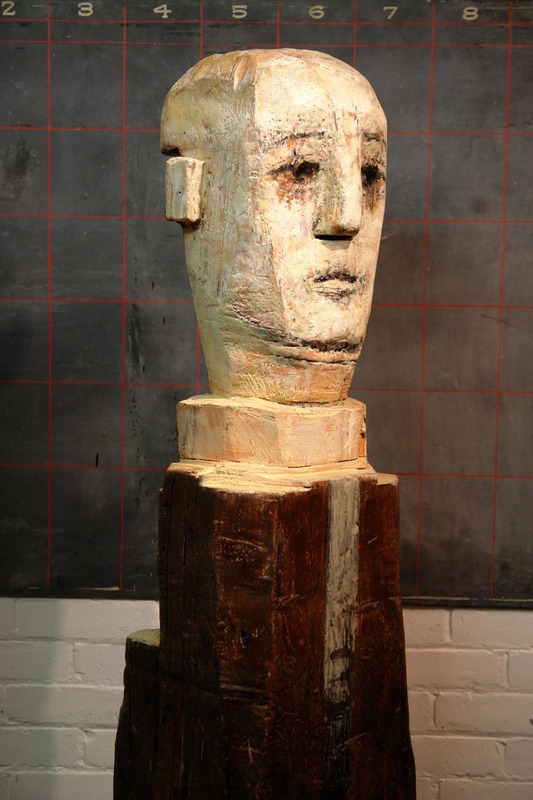 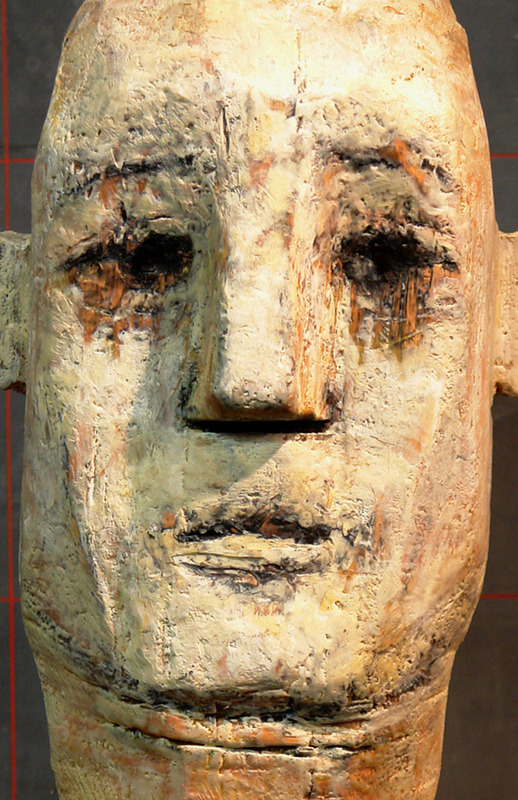 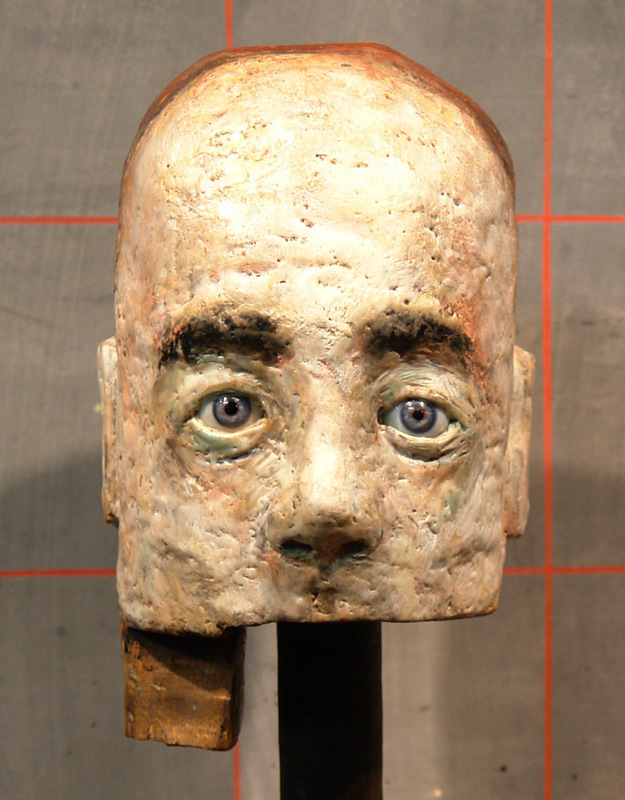 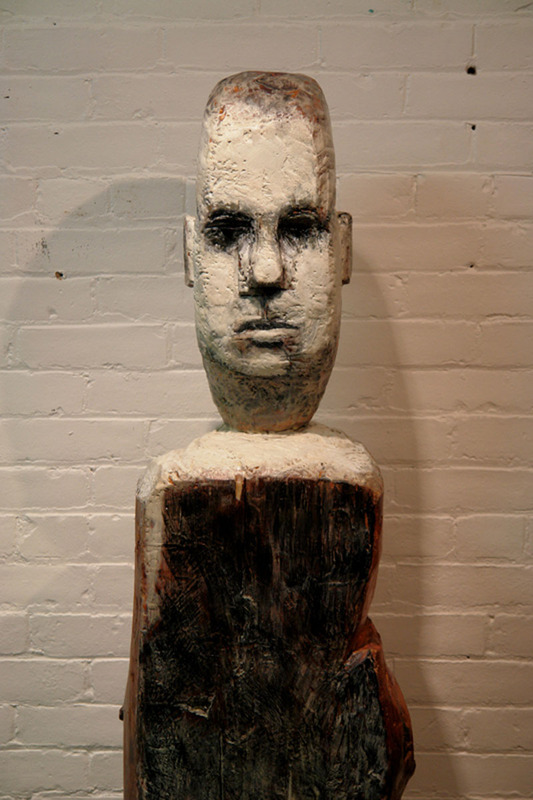 Stilthead 1, 2014, carved wood, encaustic, steel, 70 x 10 x 12 in. 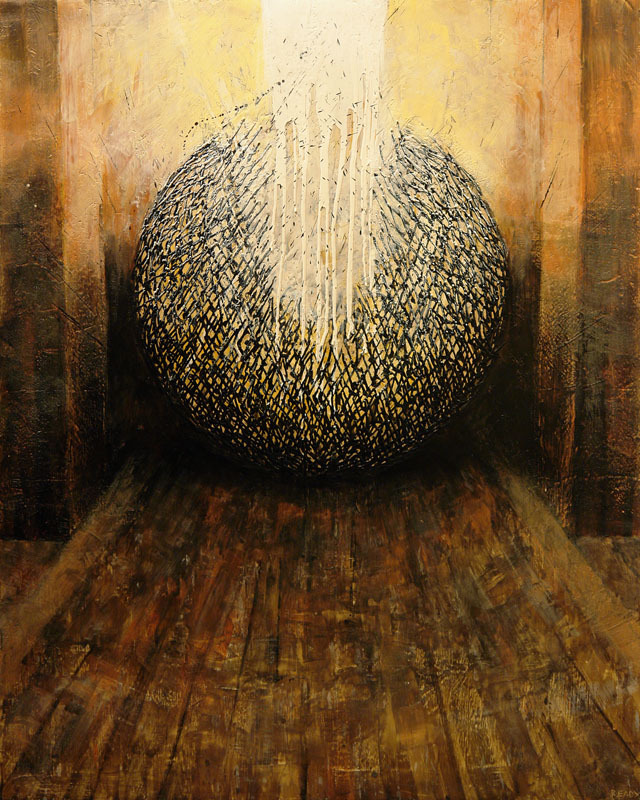 Celebration at Sid's, 2014, oil on canvas tarp, 77 x 55 in. 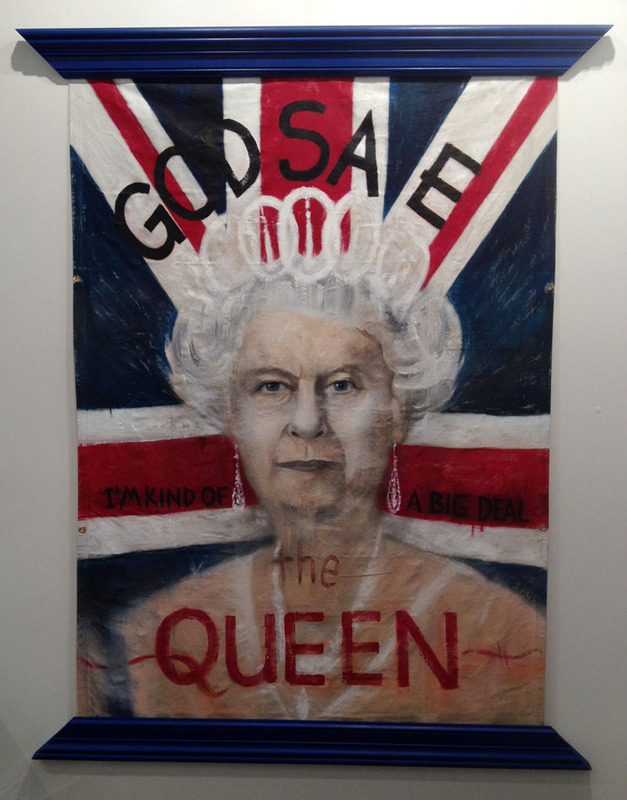 God Save the Queen, 2014, acrylic and spray paint on canvas, 84 x 55 in. 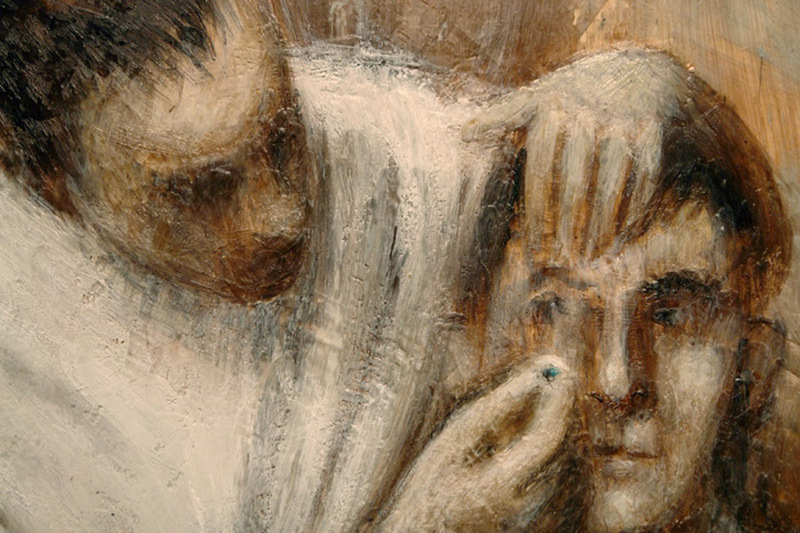 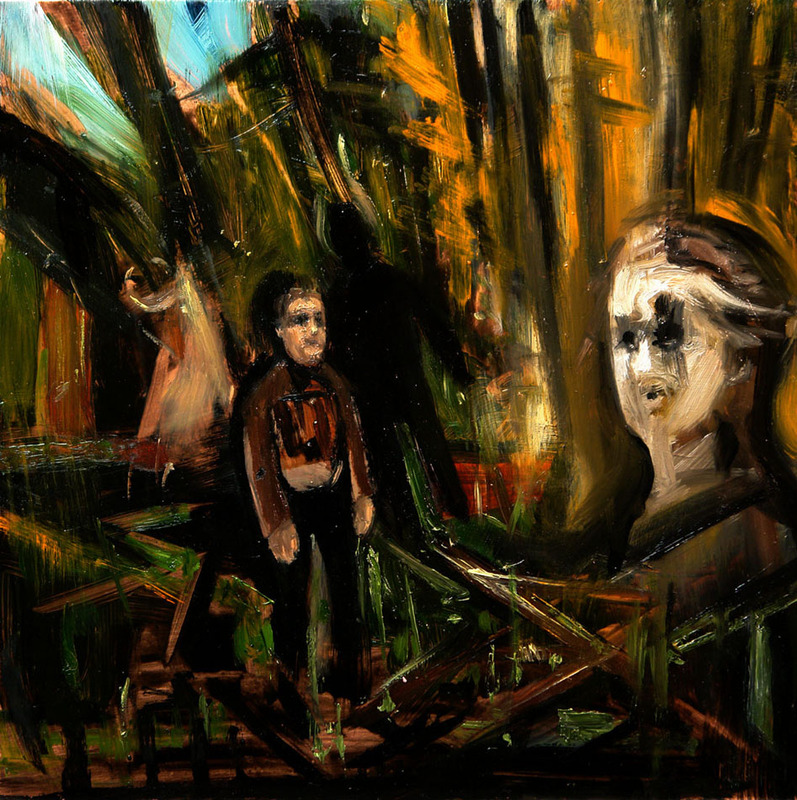 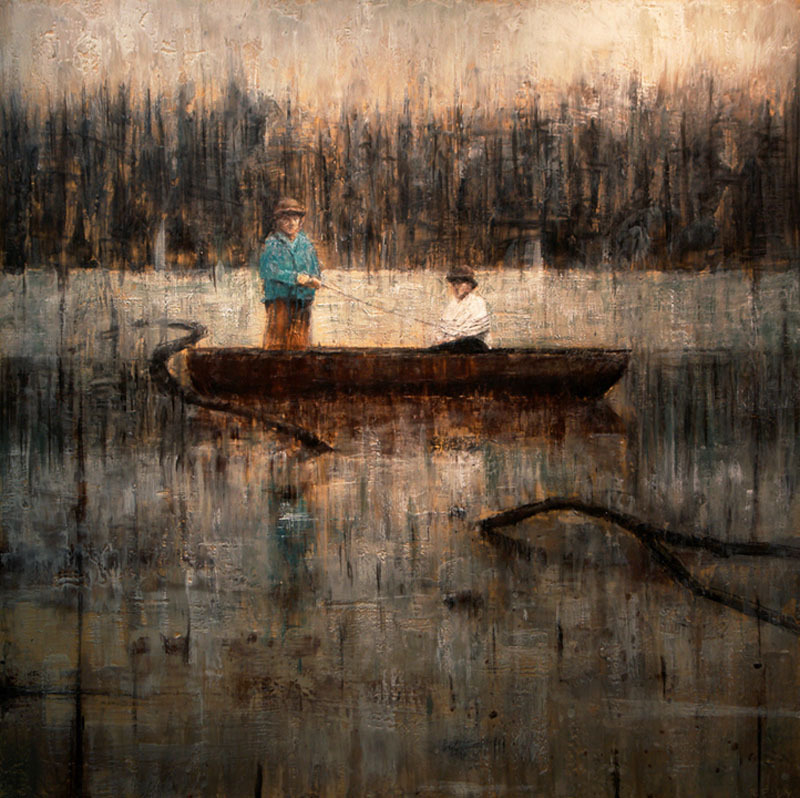 The Encounter, 2013, oil on copper, 12 x 12 in. 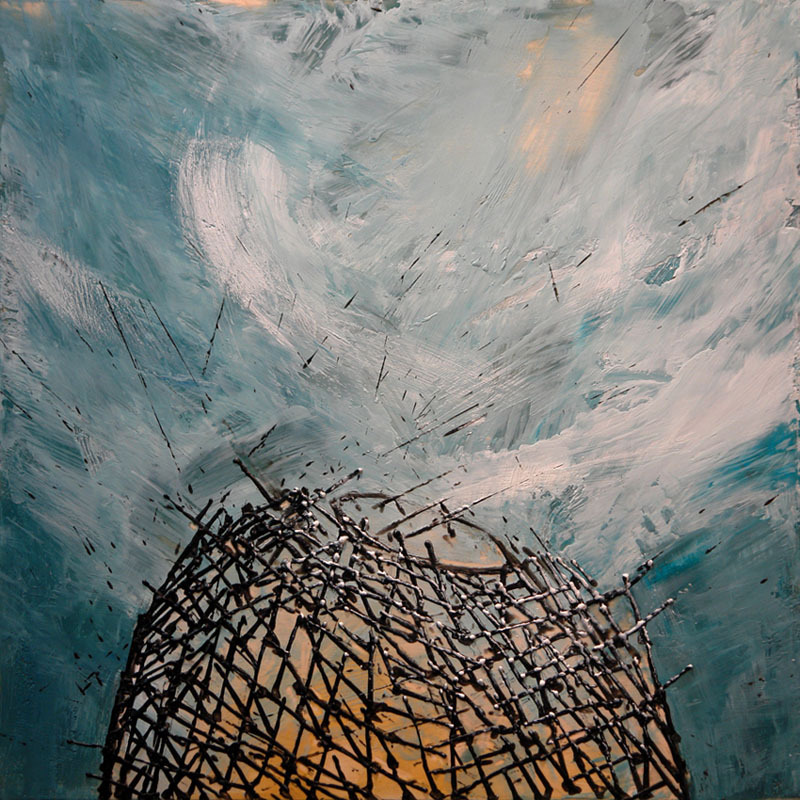 Empty Nesters, 2013, encaustic on panel, 24 x 24 in. 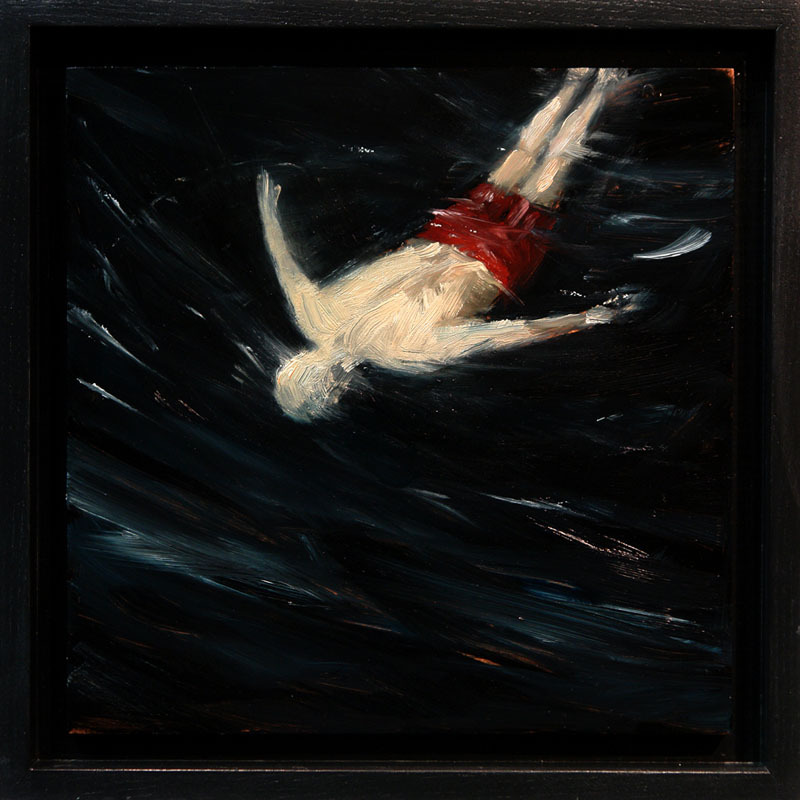 Rosseau Swim, 2013, oil on copper, 12 x 12 in. 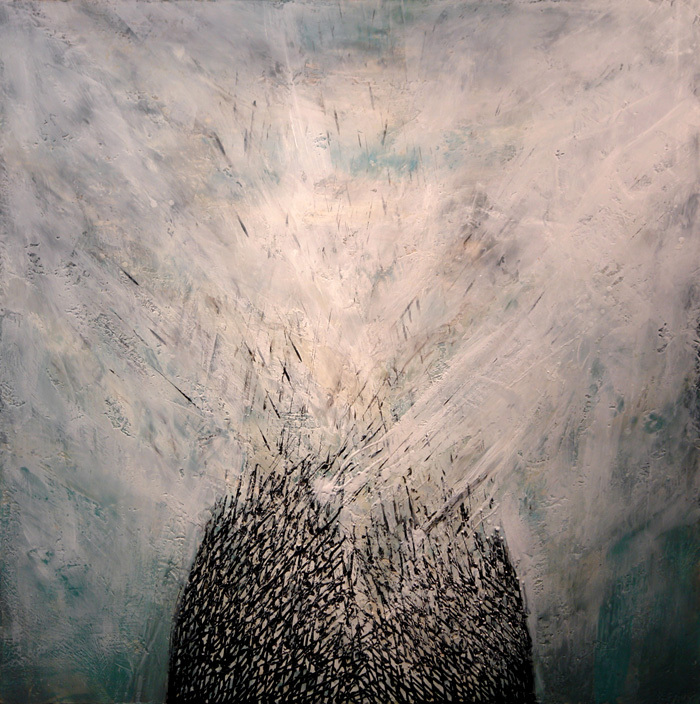 Guardians of Paradise, 2013, encaustic on panel, 24 x 24 in. 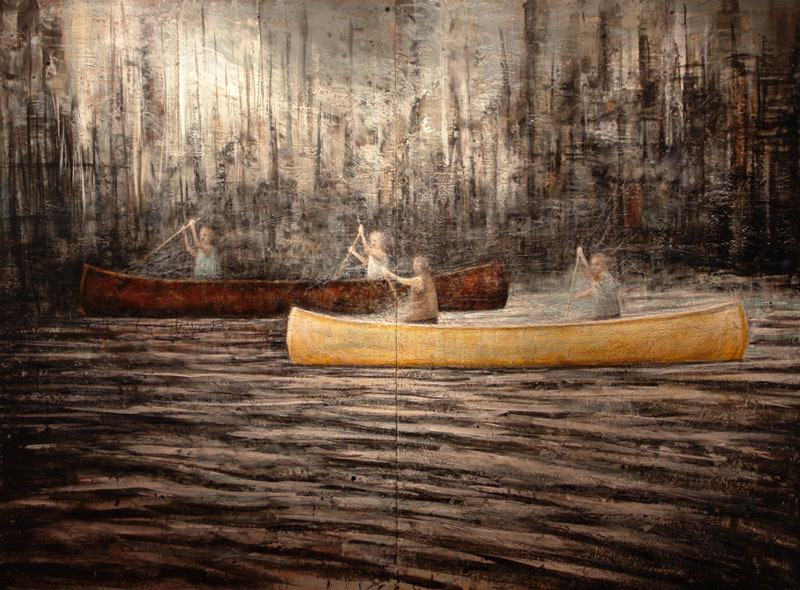 On the Great Lake 3, 2013, encaustic on panel, 16 x 16 in. 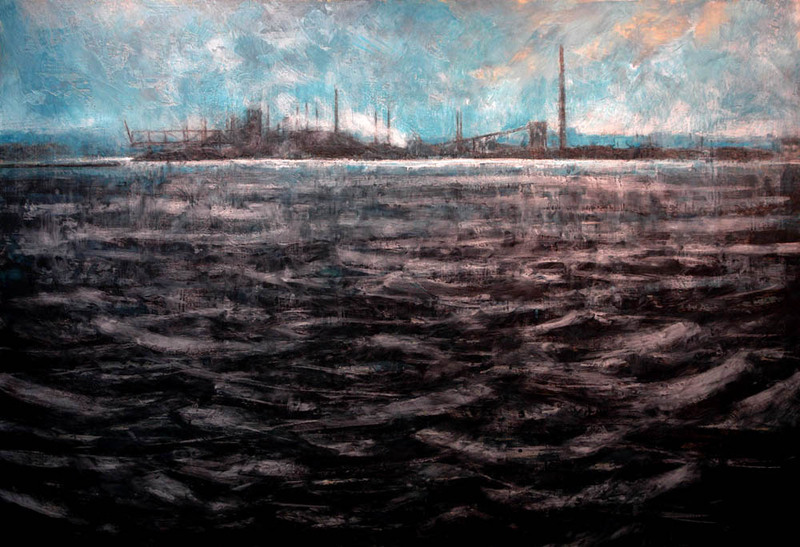 The Other Side of Paradise, 2013, encaustic on panel, 48 x 70 in. 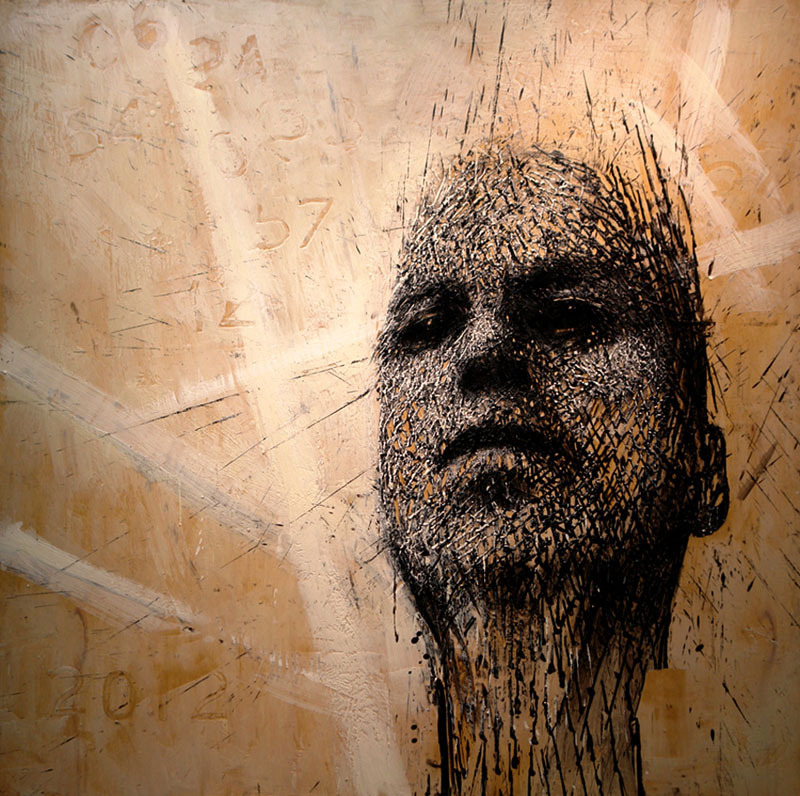 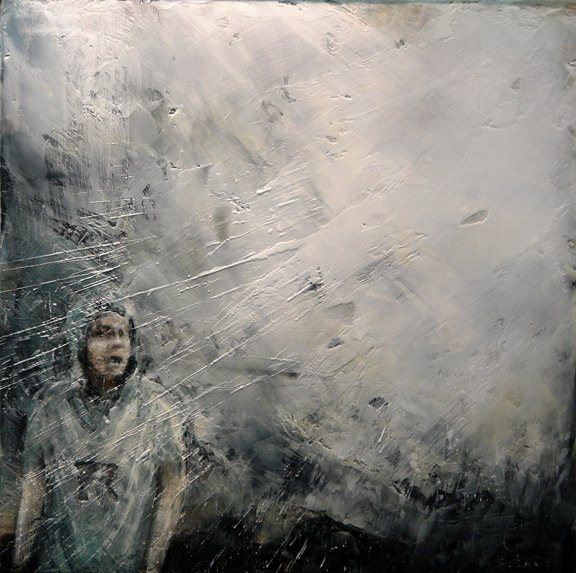 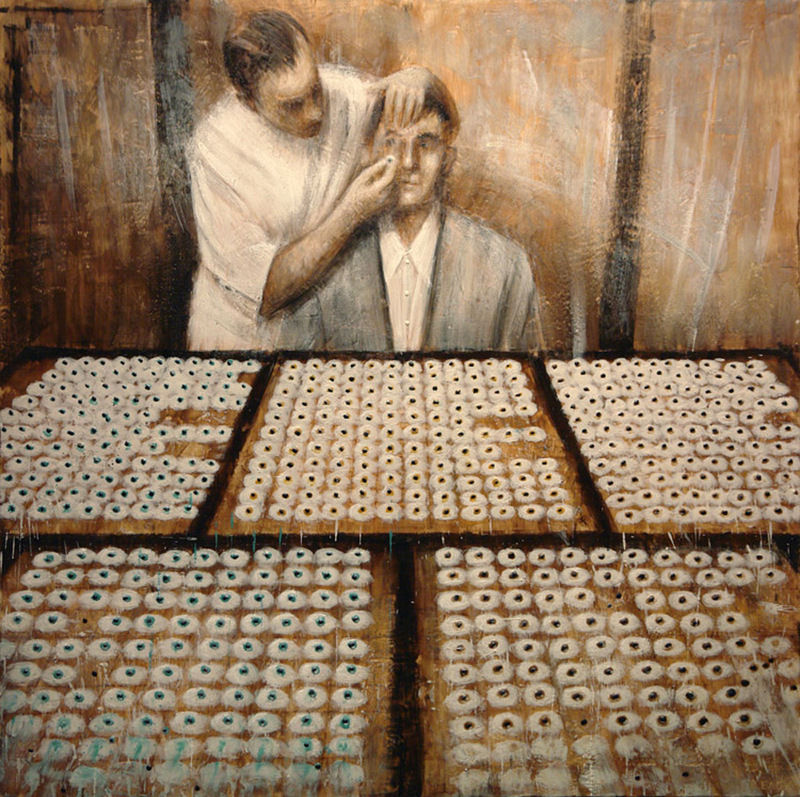 Missing Digits, 2012, encaustic on panel, 48 x 48 in. 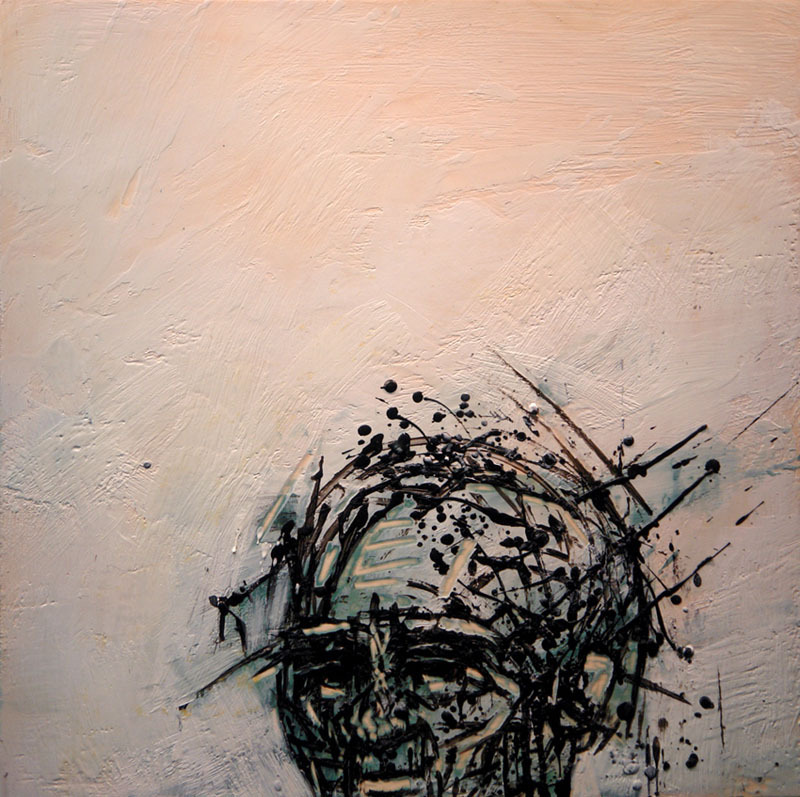 Unforeseen, encaustic on canvas, 20 x 20 in. 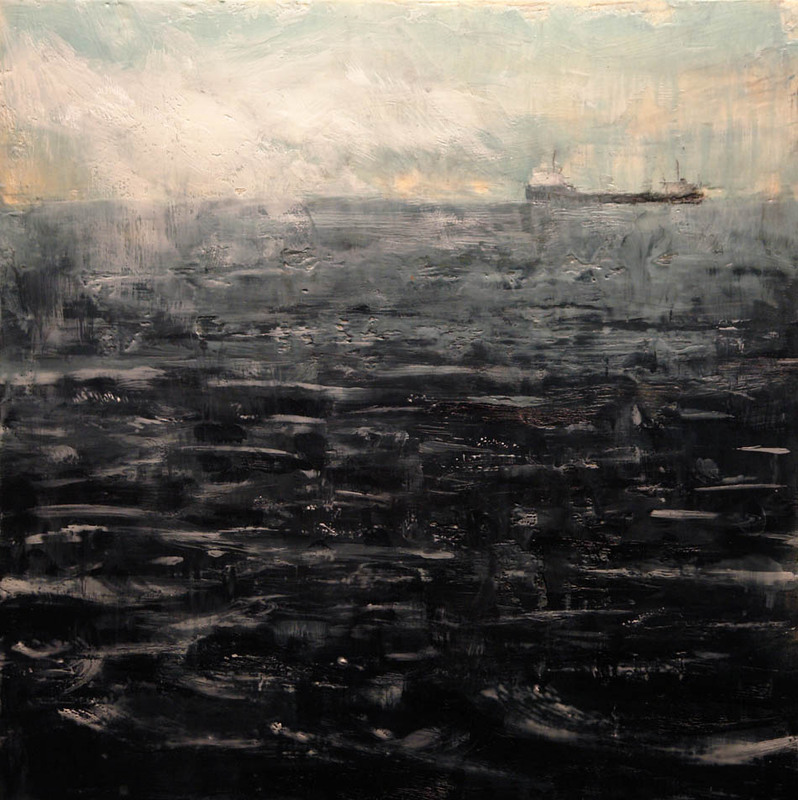 The Water Lot 2, 2012, encaustic on panel, 24 x 24 in. 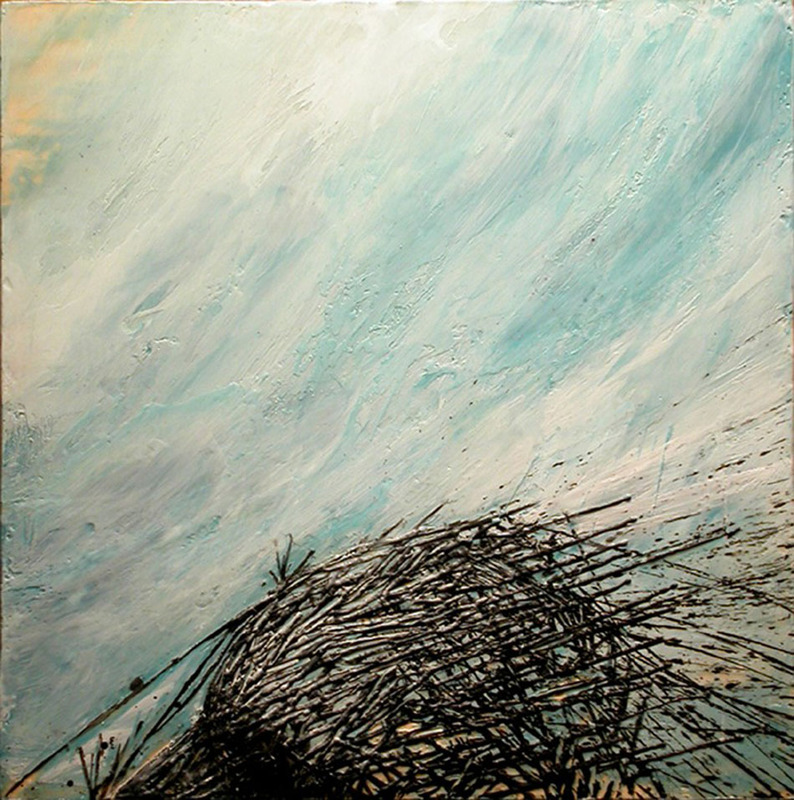 The Last Straw, 2012, encaustic on panel, 24 x 24 in. 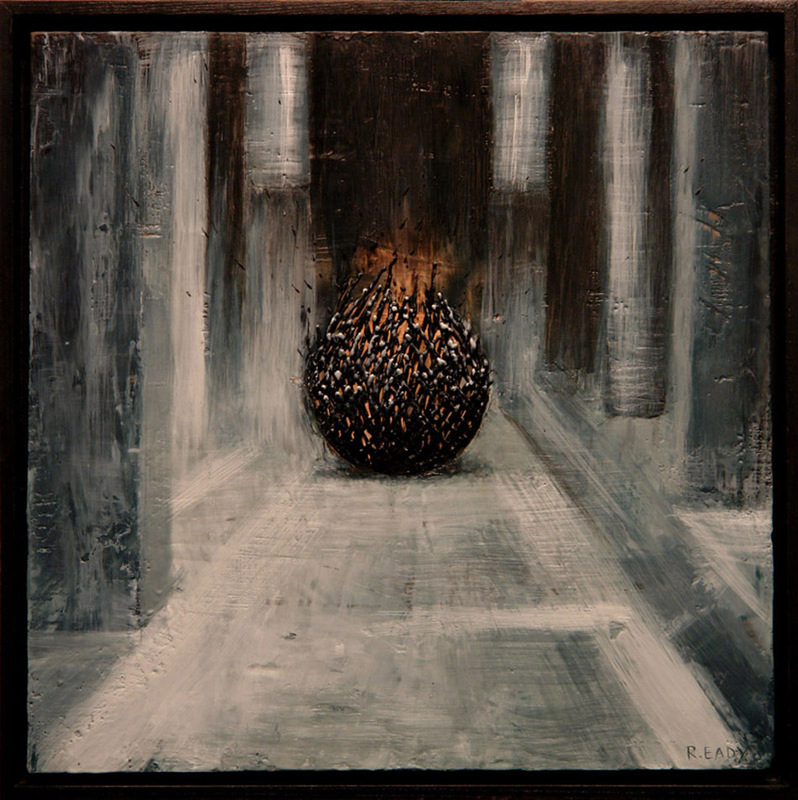 The Exchange, 2012, encaustic on panel, 24 x 24 in. 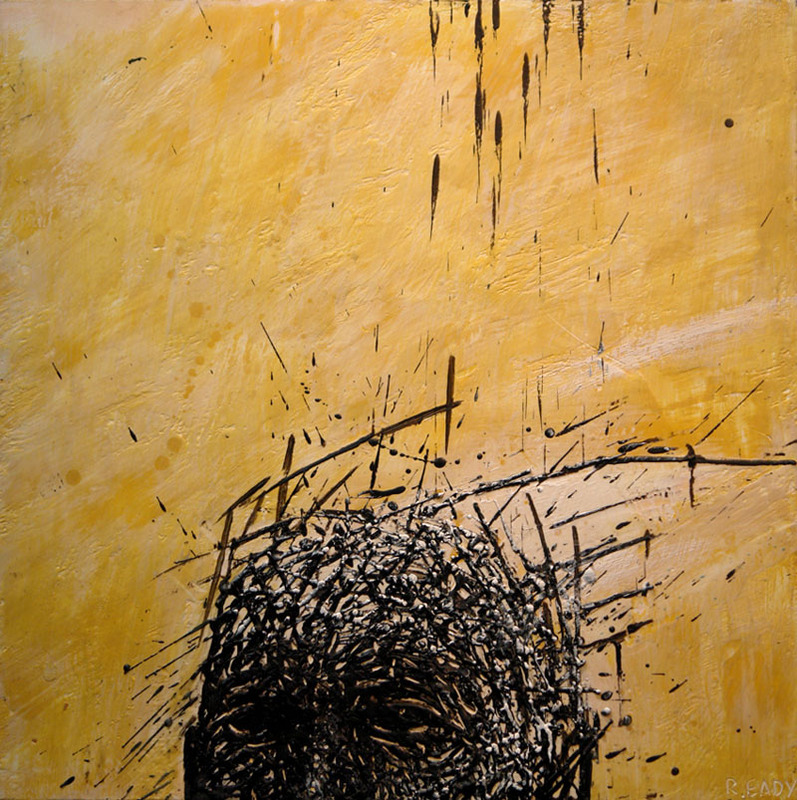 Mixed Messages, 2012, encaustic on panel, 24 x 24 in. 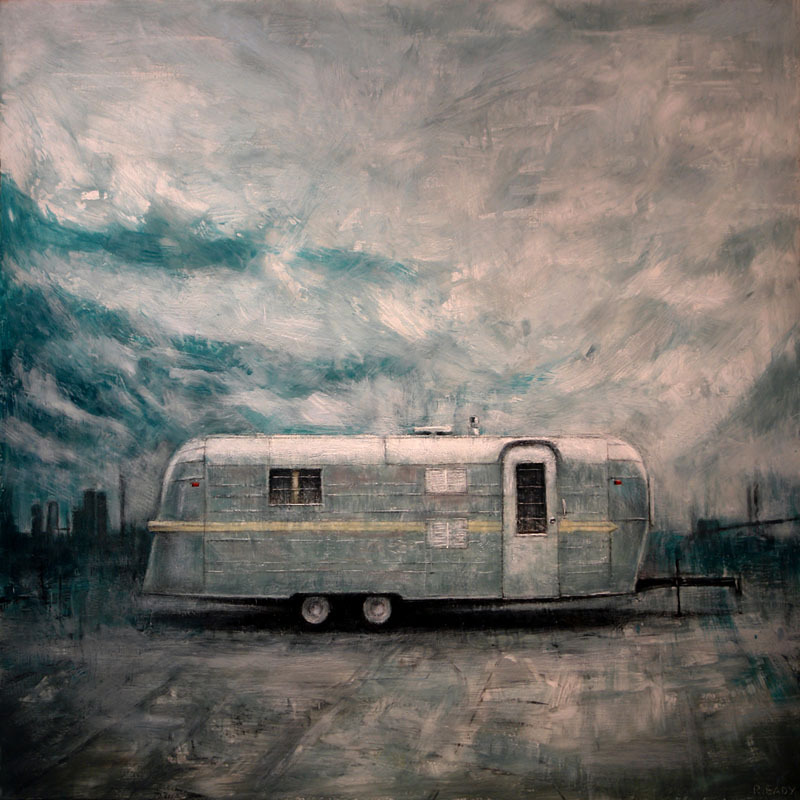 Traveller no.3, 2012, encaustic on panel, 48 x 48 in. 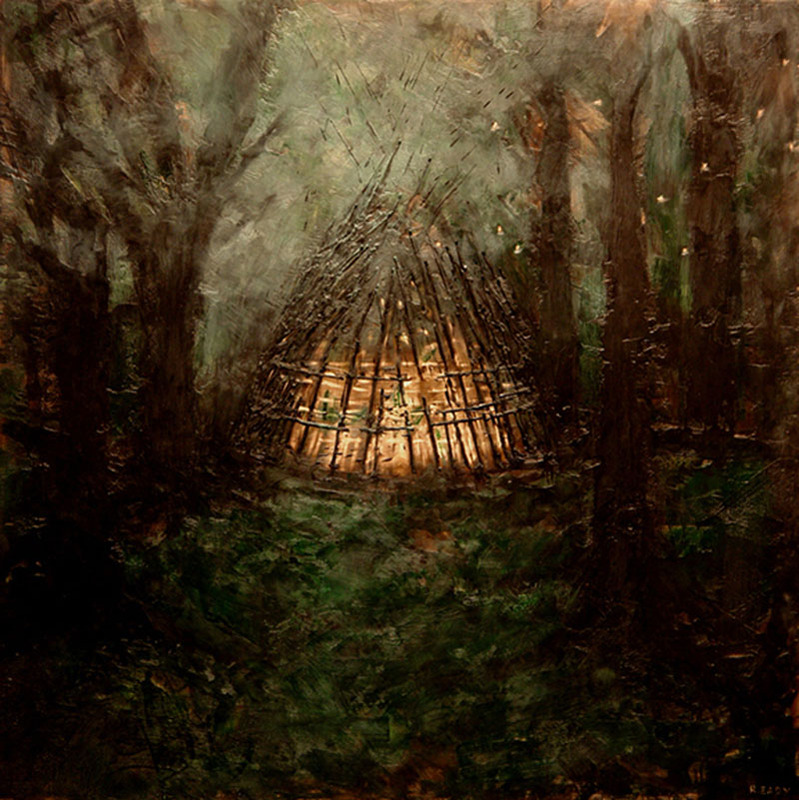 Sanctuary no.2, 2012, encaustic on panel, 48 x 48 in. 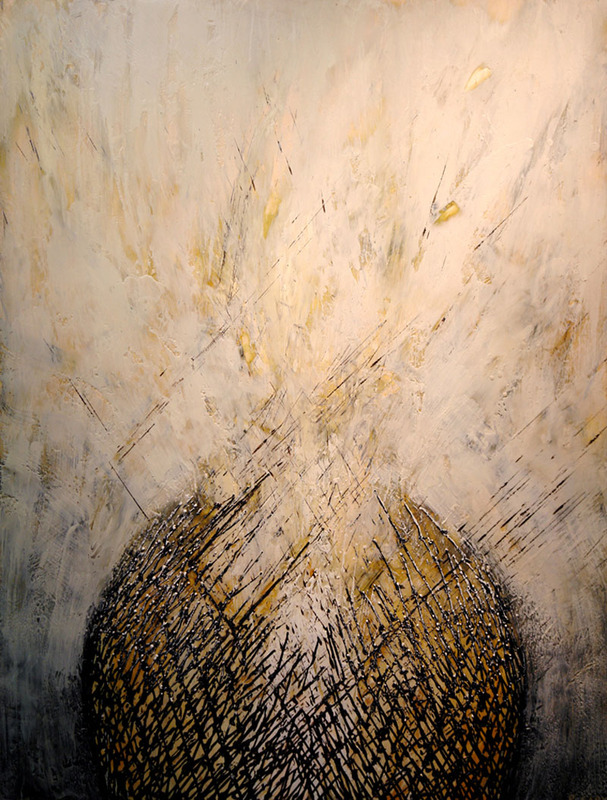 Golden Embers, 2012, encaustic on panel, 50 x 38 in. 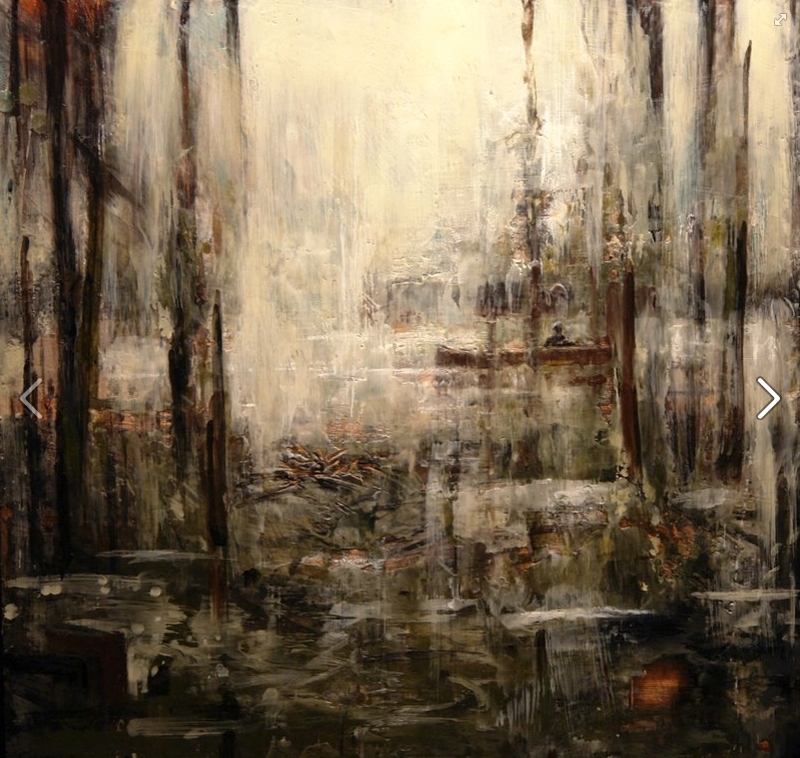 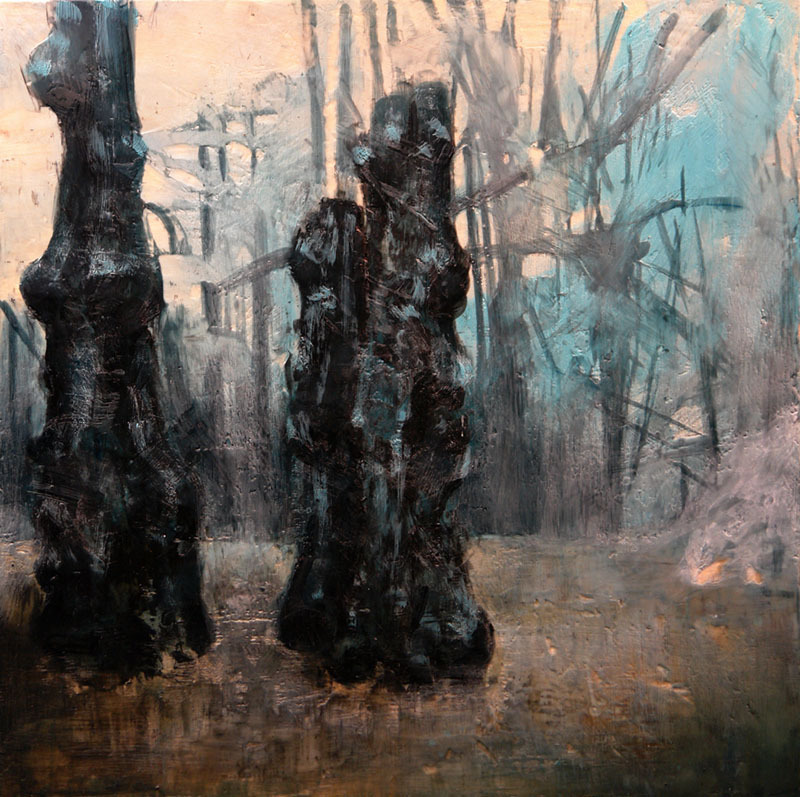 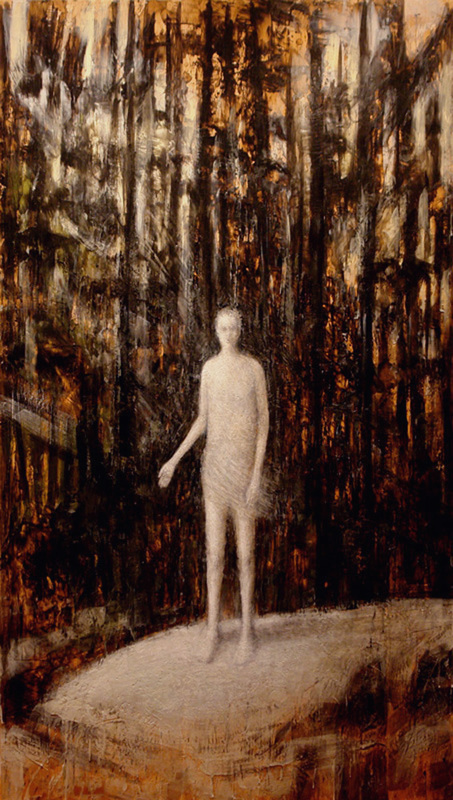 Swiftly Past the Whispering Woods, encaustic on panel, 70 x 96 in. 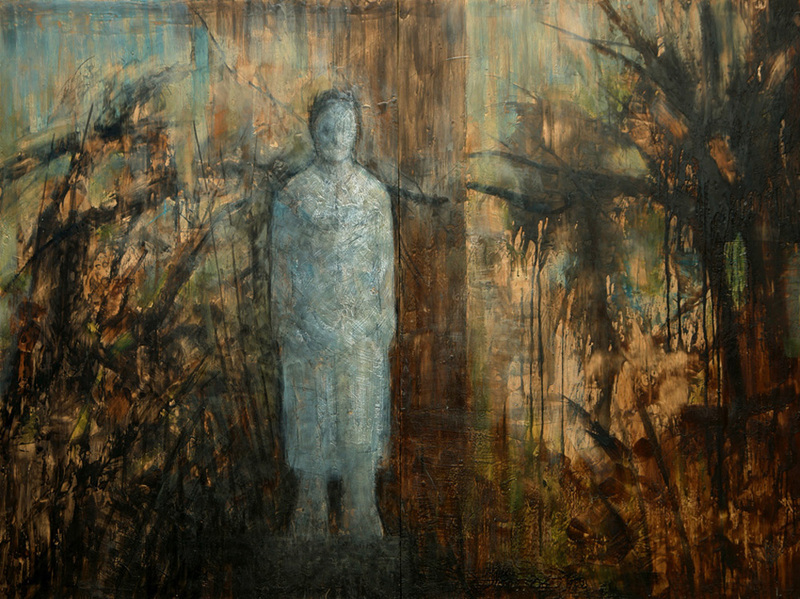 Encounter at Kawandag, encaustic on panel, 72 x 44 in. 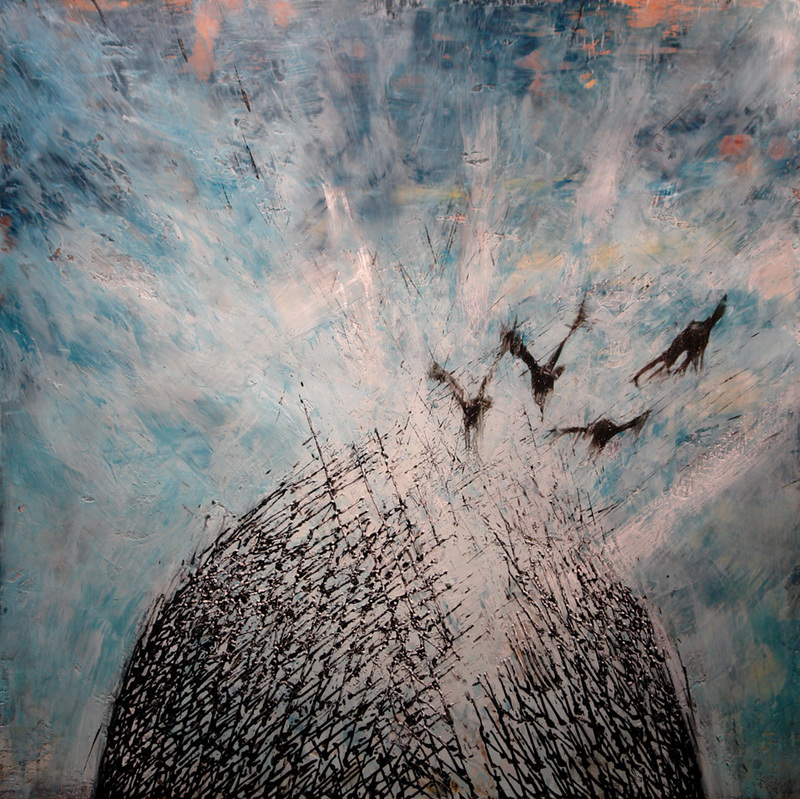 The Catch, 2012, encaustic on panel, 48 x 48 in. 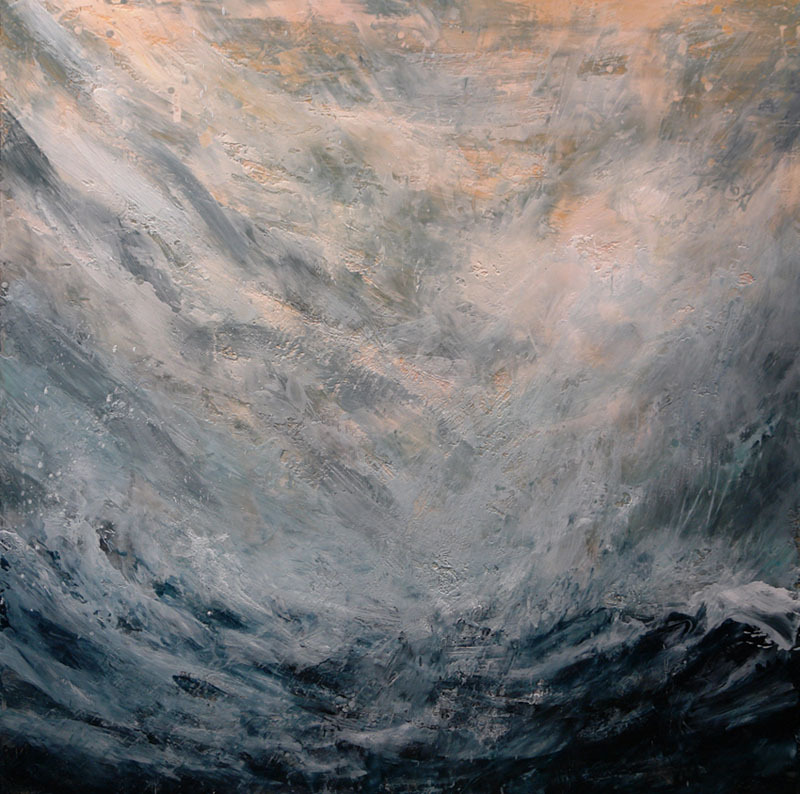 Forces of Nature, encaustic on panel, 48 x 48 in. 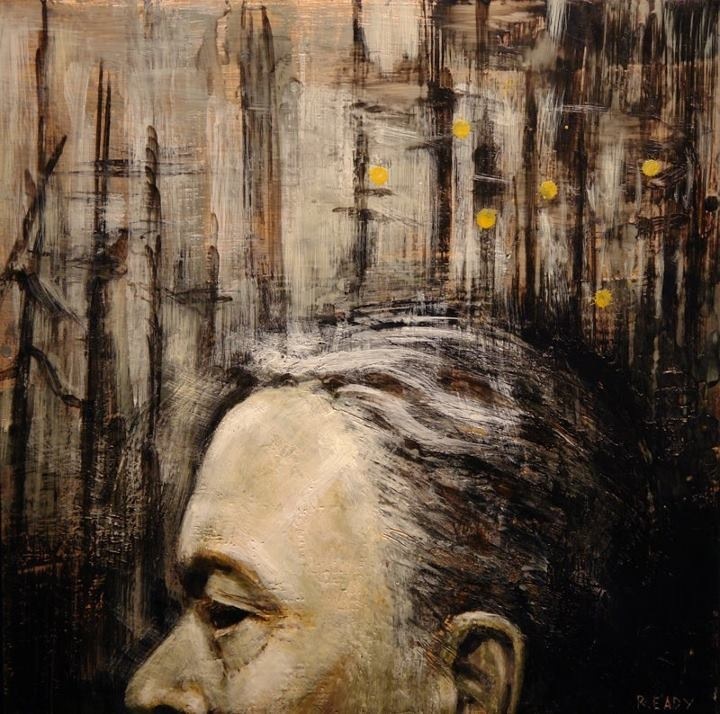 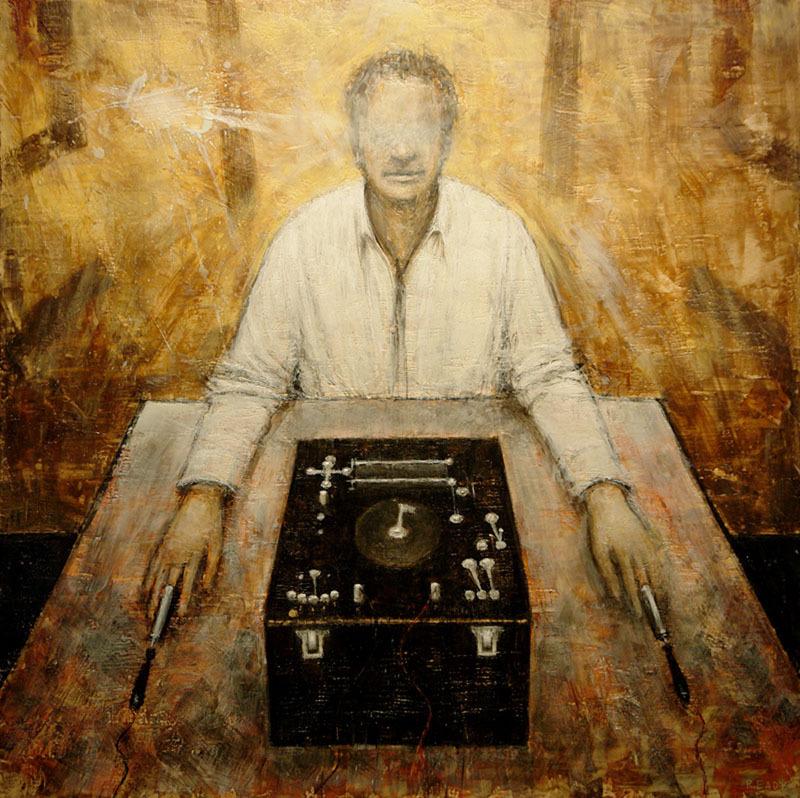 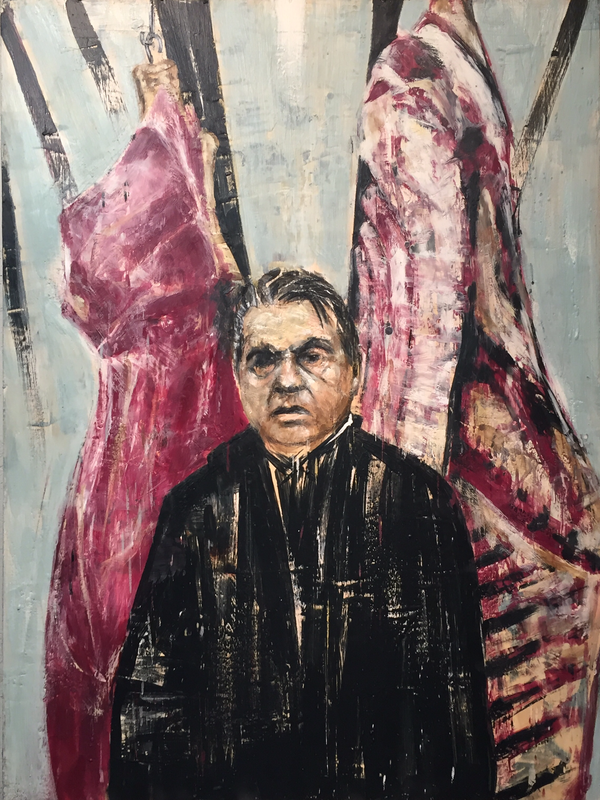 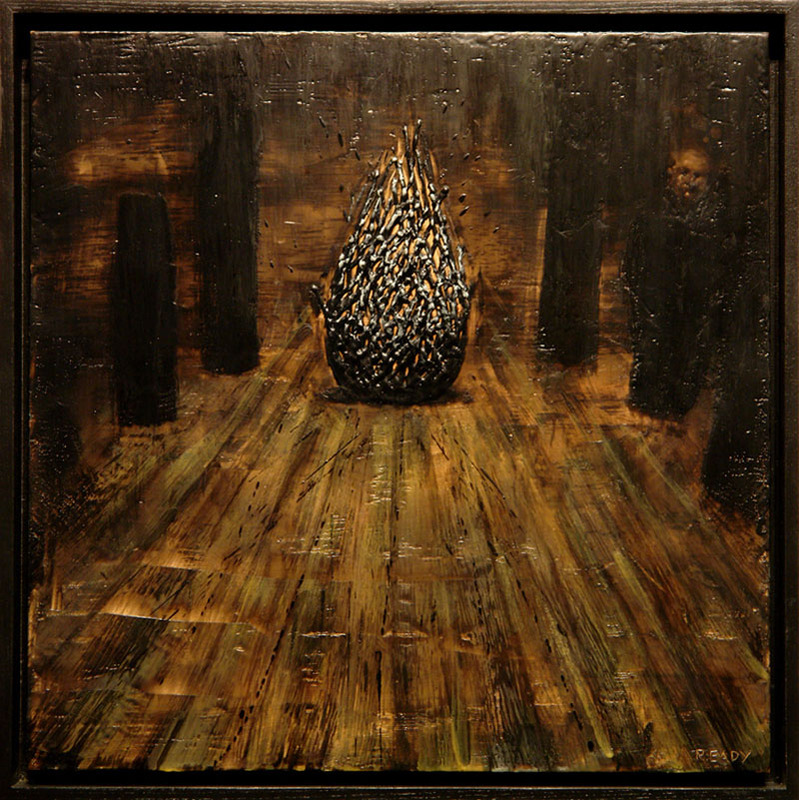 Inquietude, encaustic on panel, 36 x 36 in. 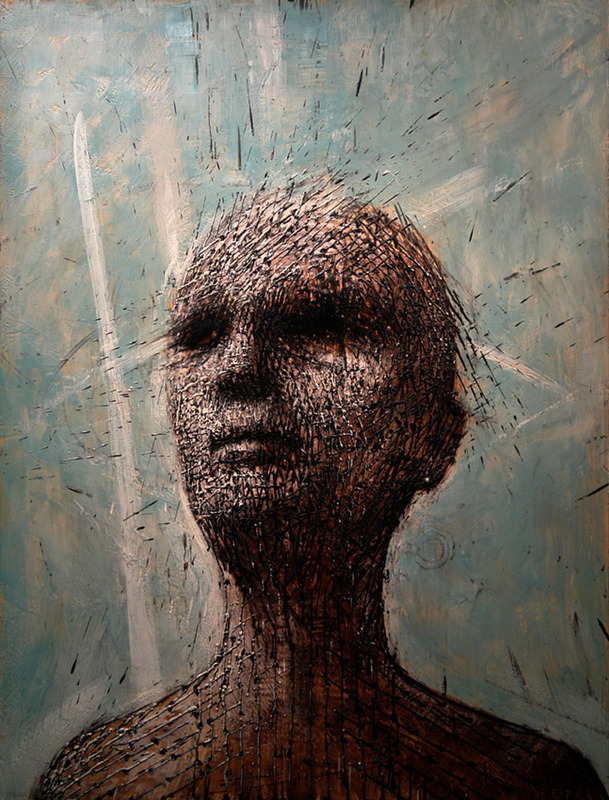 Fantasizer, 2012, encaustic on panel, 50 x 38 in. 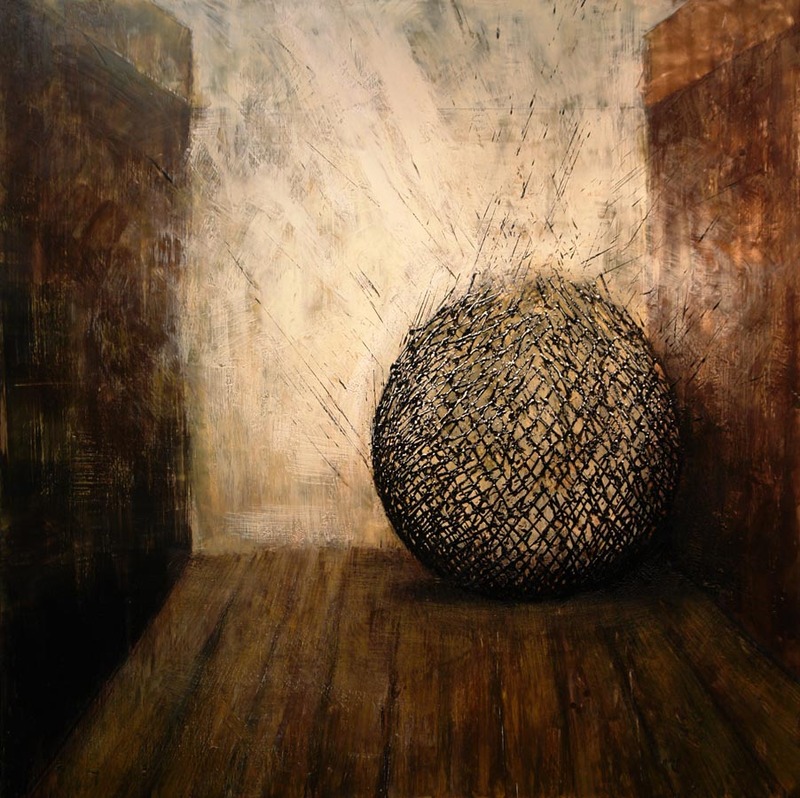 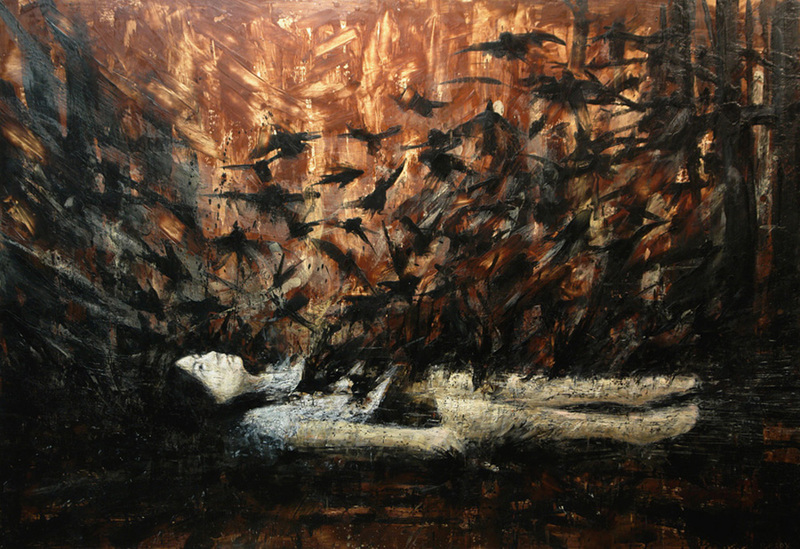 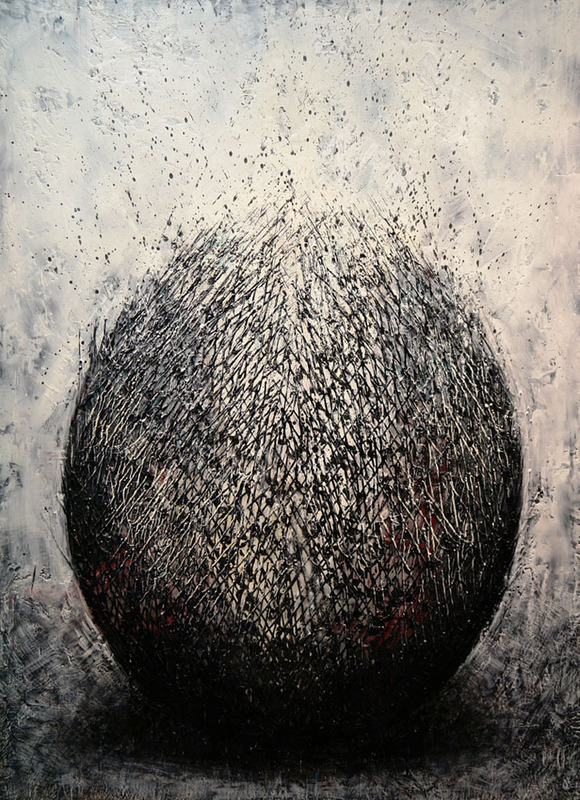 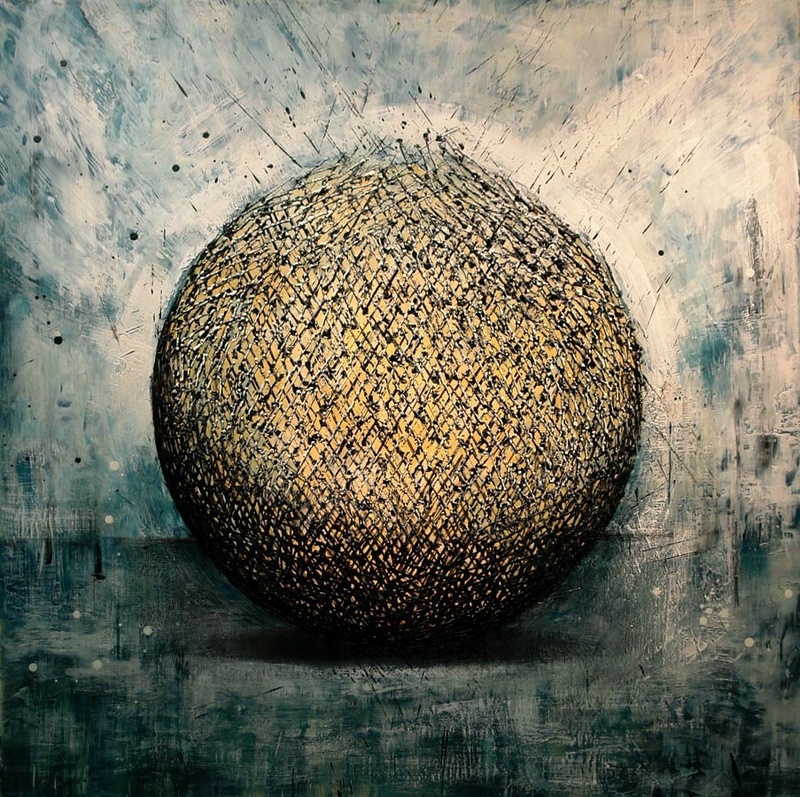 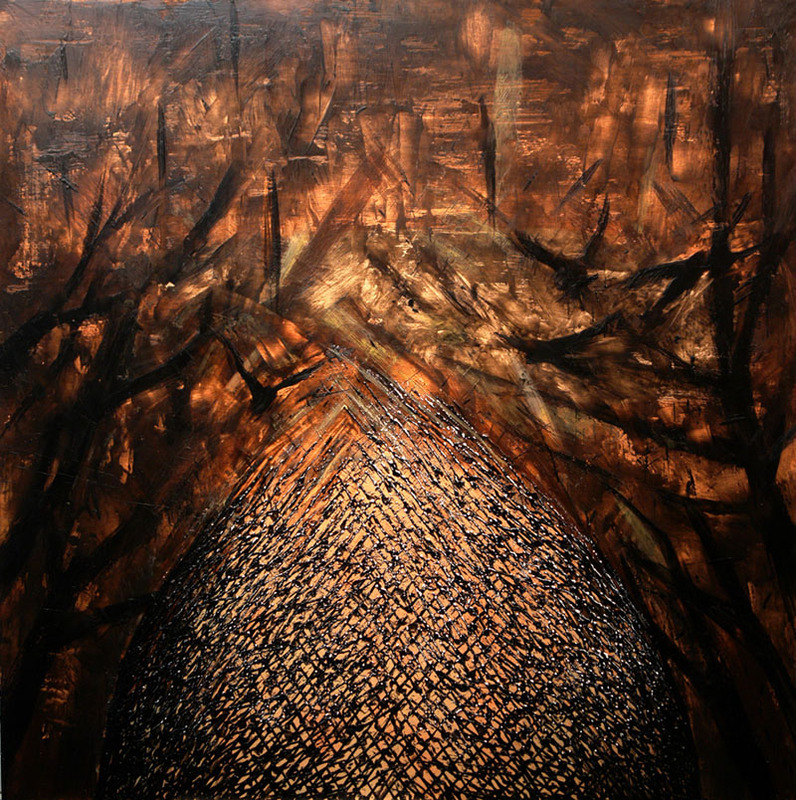 The Deceptive Nest, encaustic on panel, 48 x 48 in. 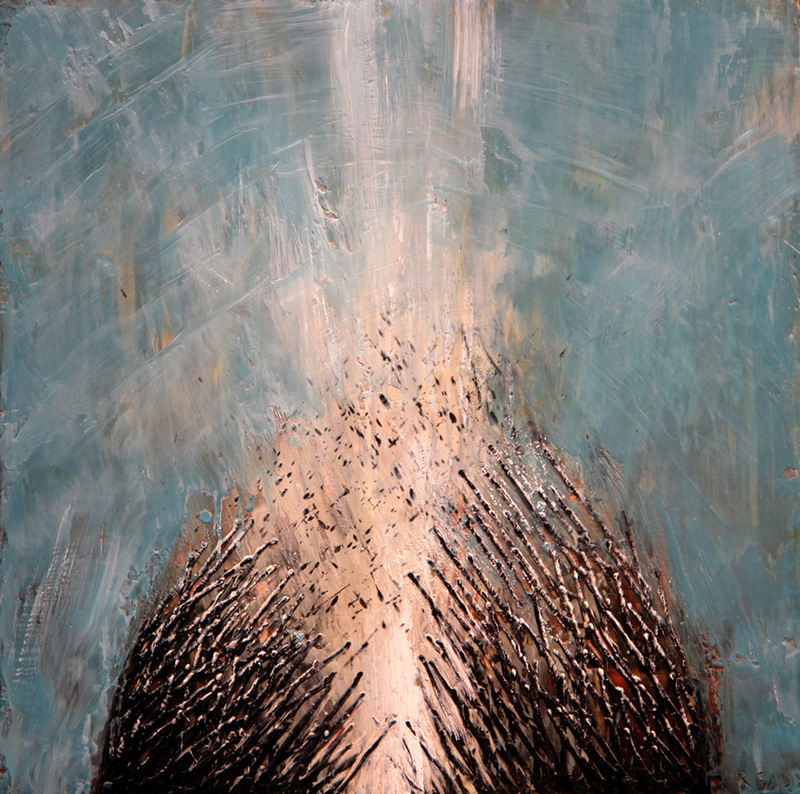 Eruption no.3, encaustic on panel, 24 x 24 in. 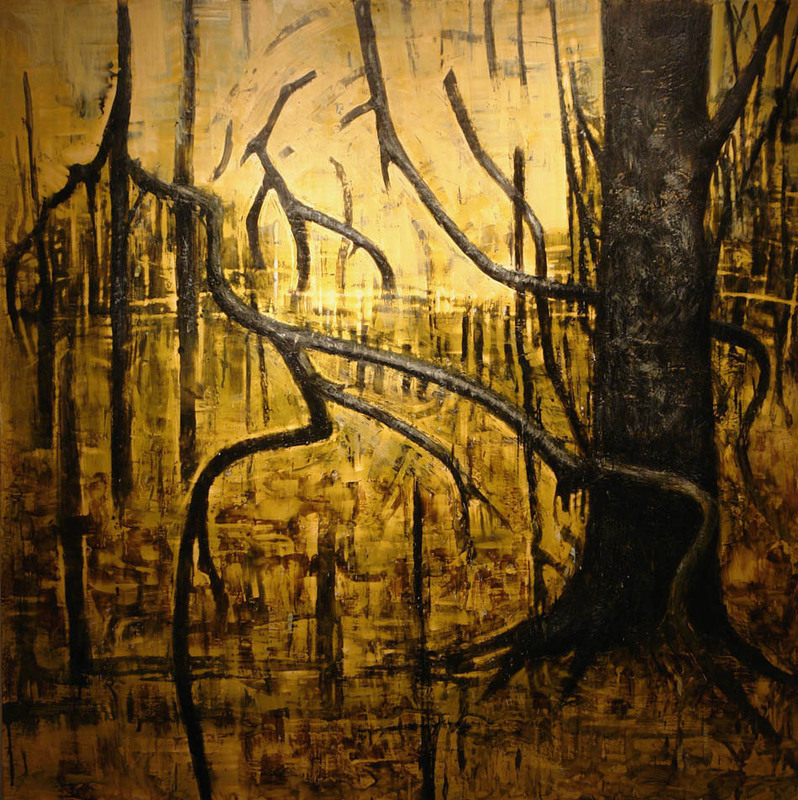 Sensorium 2, encaustic on canvas, 48 x 48 in. 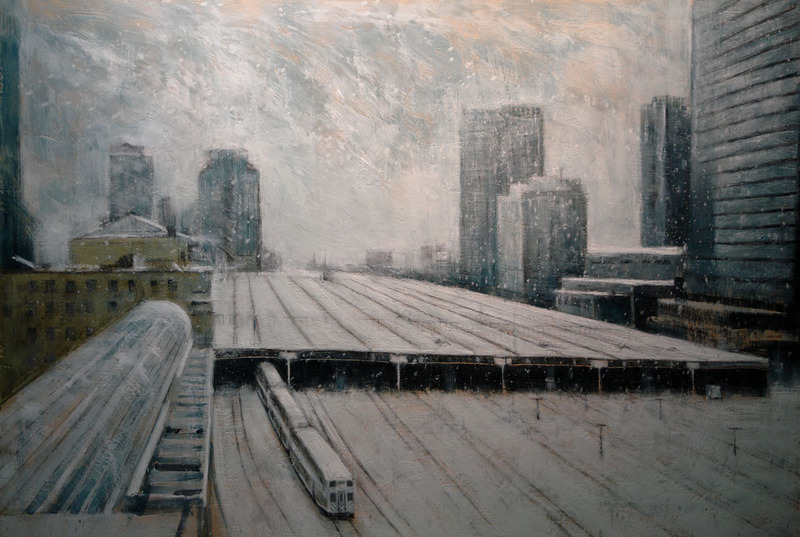 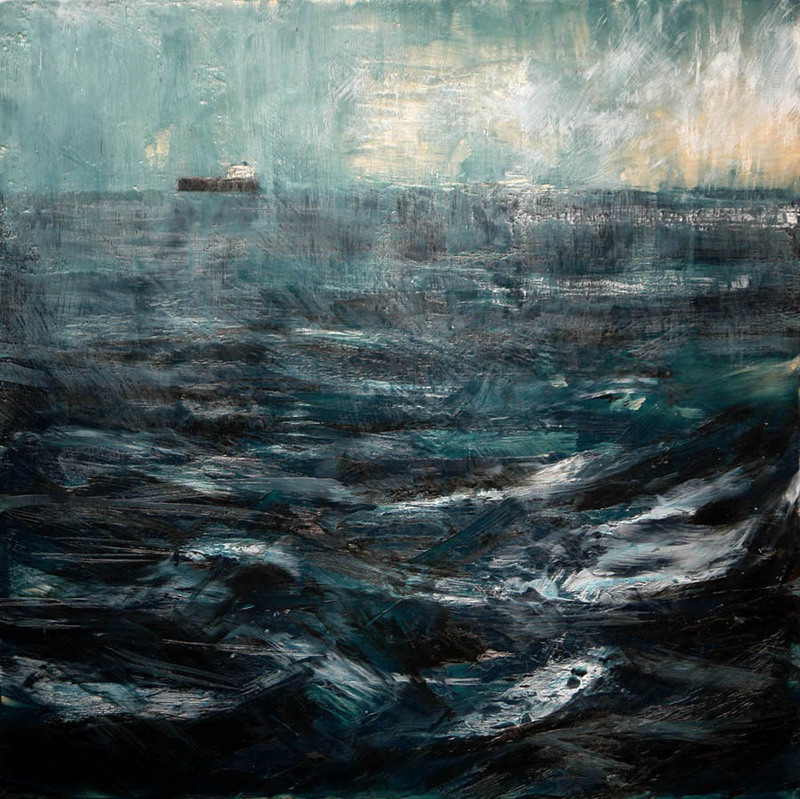 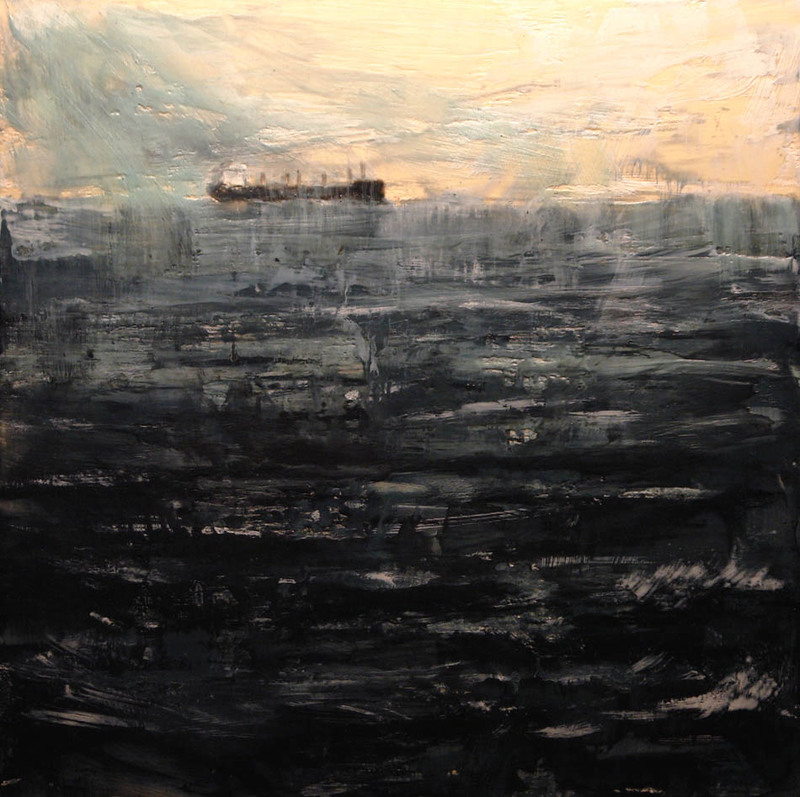 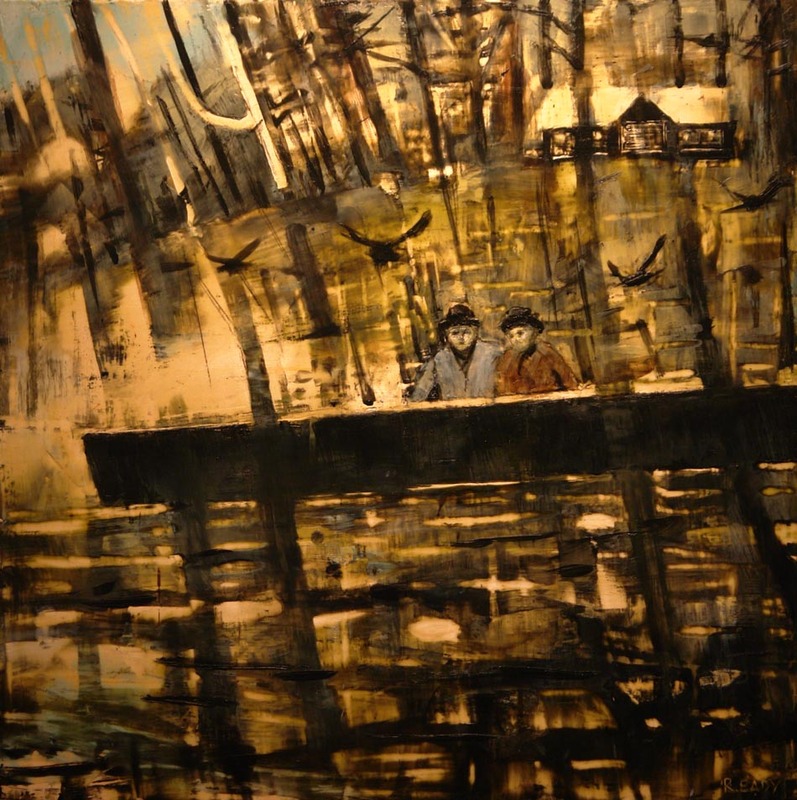 Departure, encaustic on panel, 48 x 48 in. 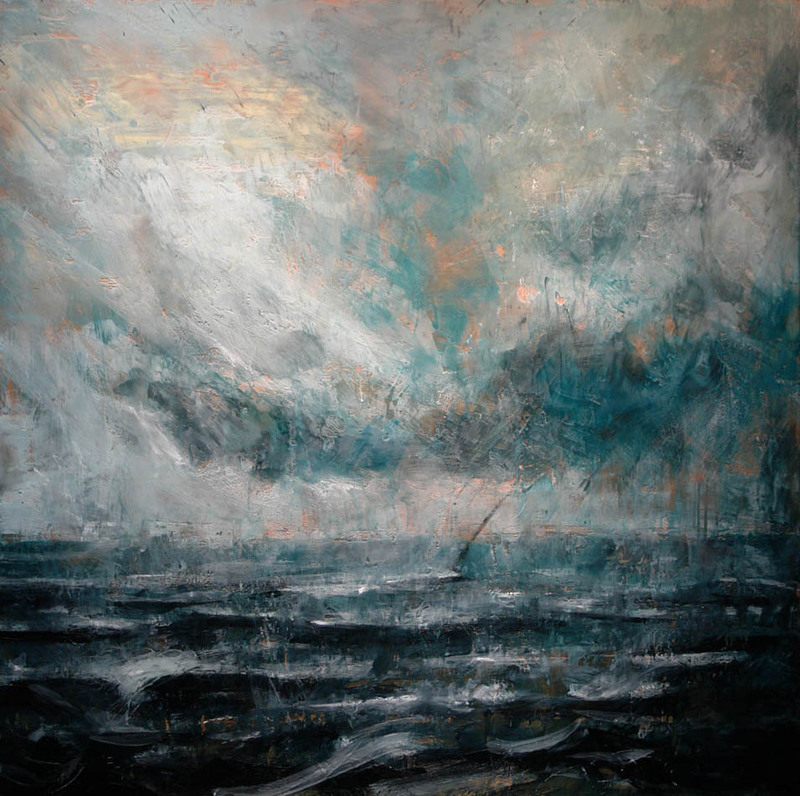 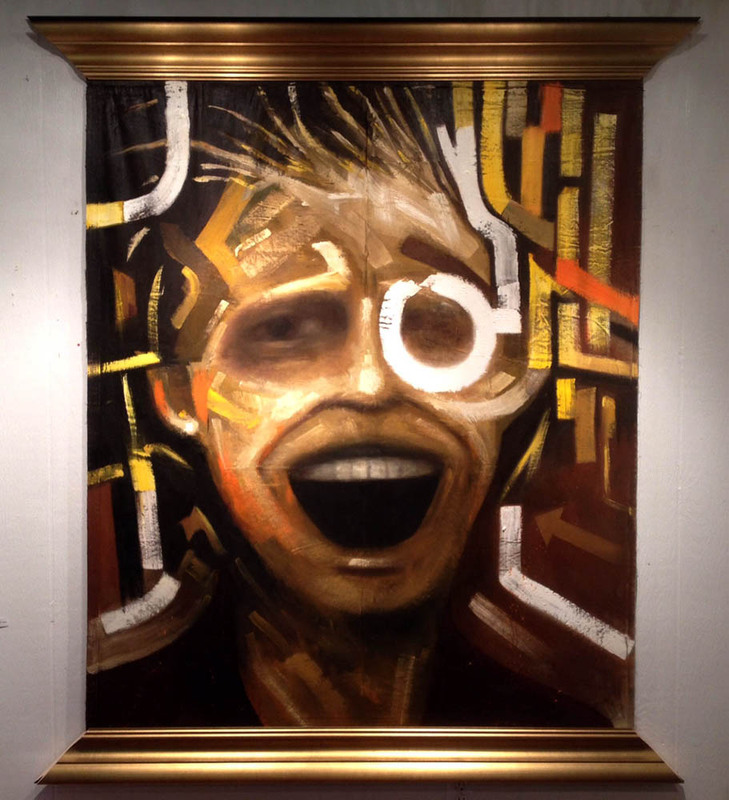 Eye Candy, encaustic on panel, 48 x 48 in. 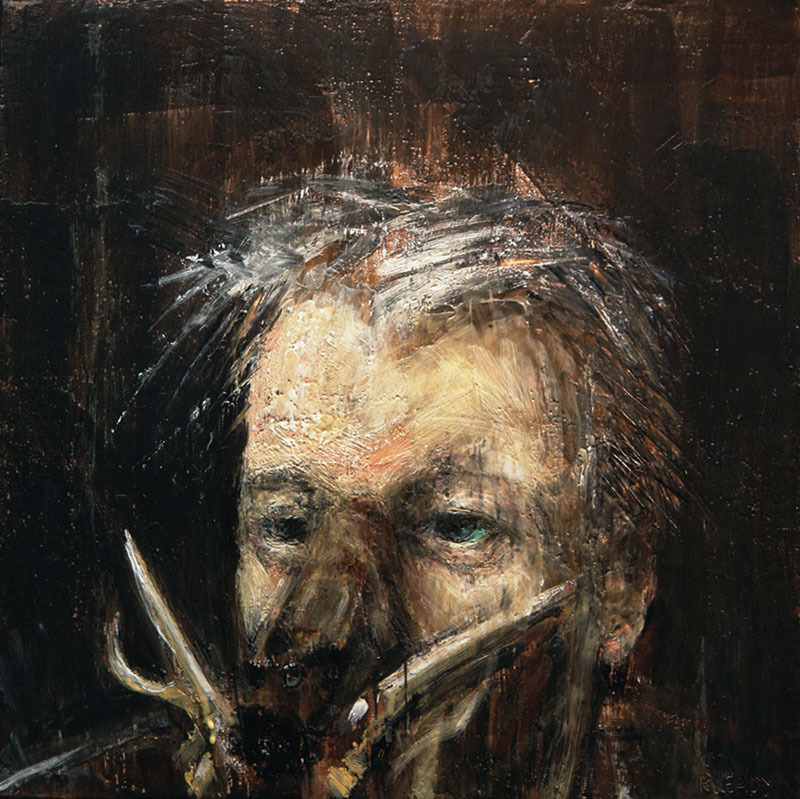 Self Portrait as a Wild Boar, 2011, encaustic on panel, 18 x 18 in. 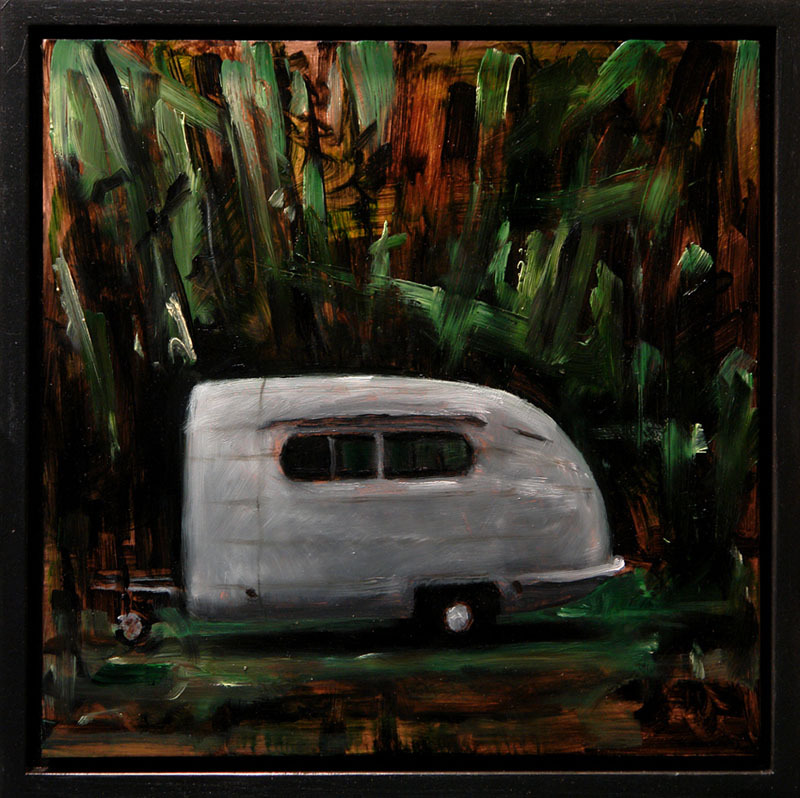 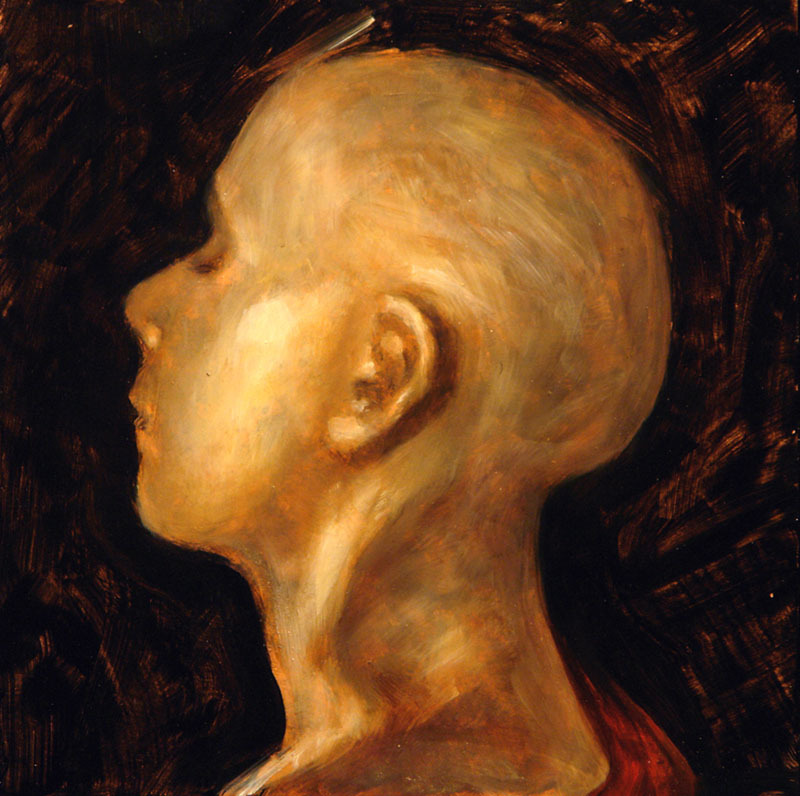 Sleeper, 2010, oil on copper, 10 x 10 in. 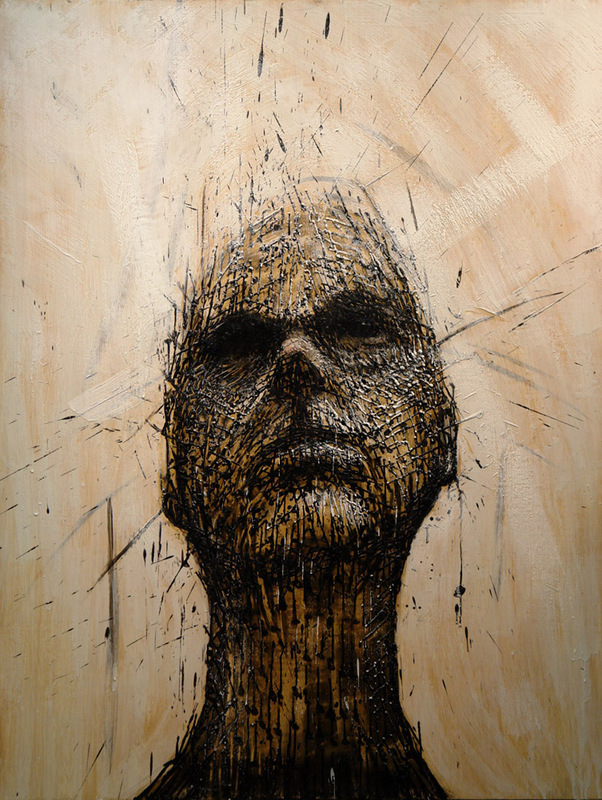 Between the Lines, encaustic on panel, 50 x 30 in. 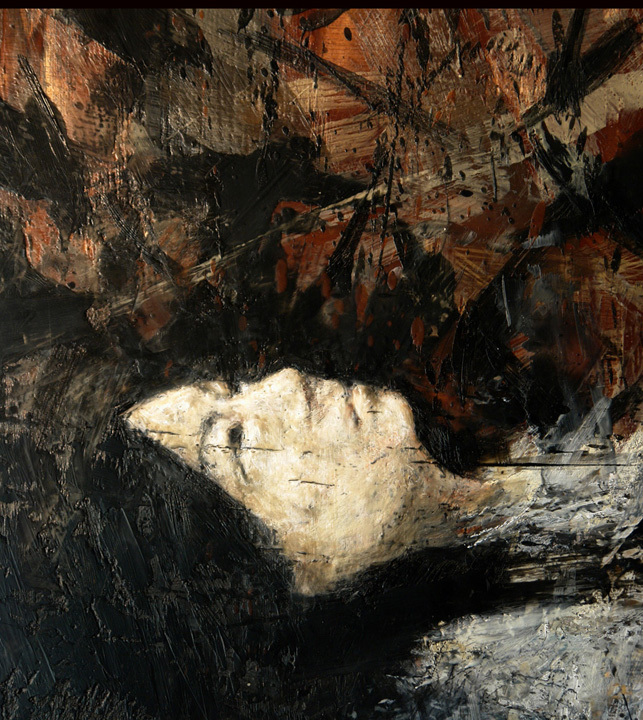 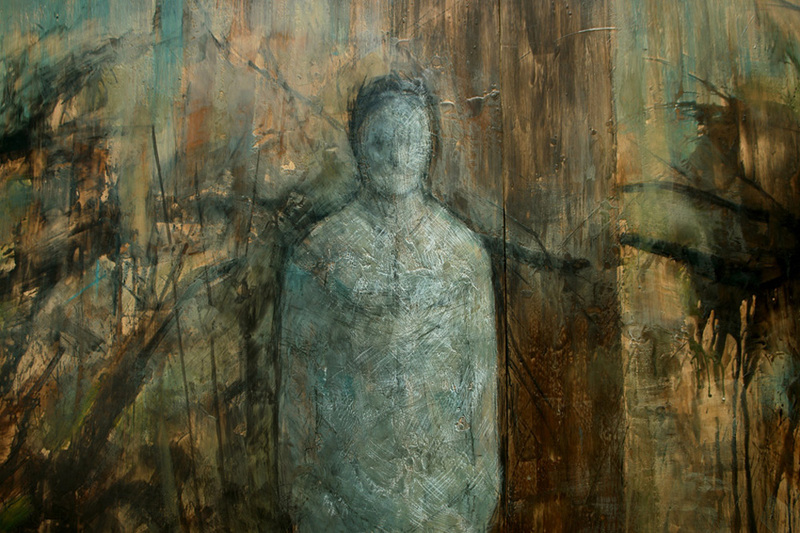 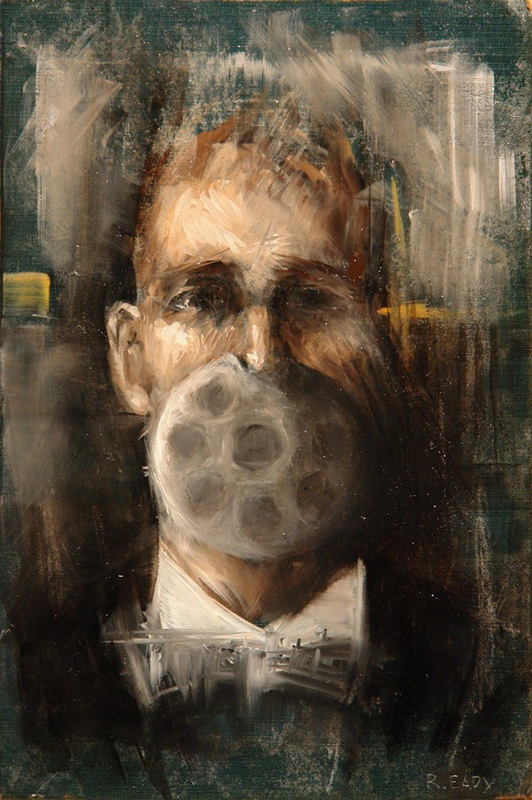 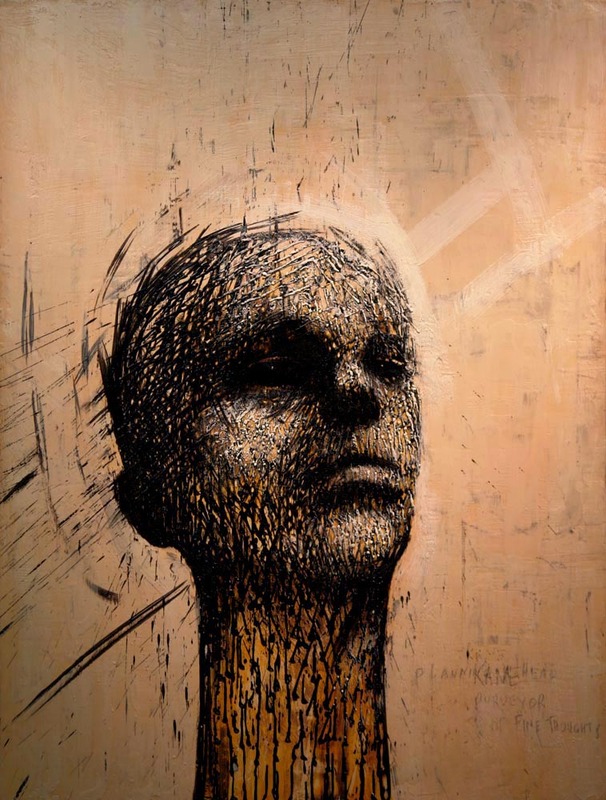 Kane, 2012, encaustic on panel, 50 x 38 in.